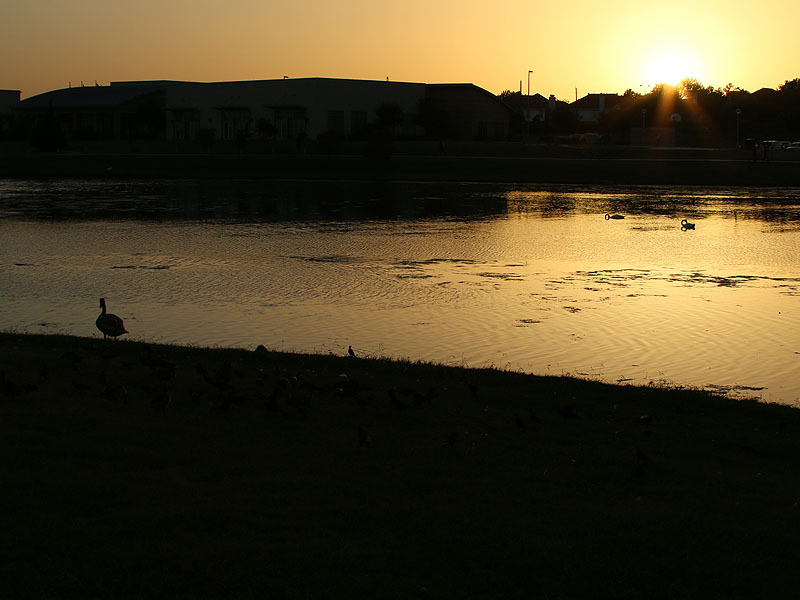 This post will mark my last visit to Josey Ranch Lake Park this summer. 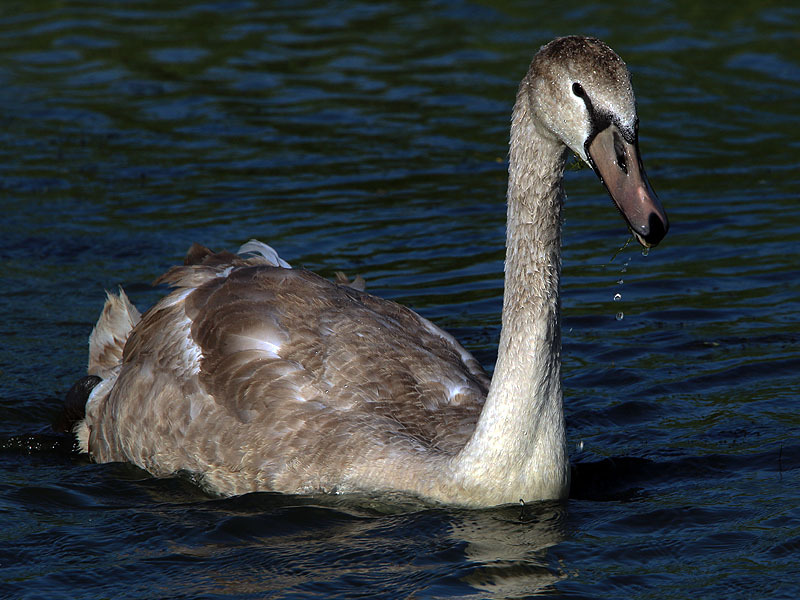 The juvenile Mute Swan, whose progress I have been following is very nearly grown now. He will be independent and on his own soon. 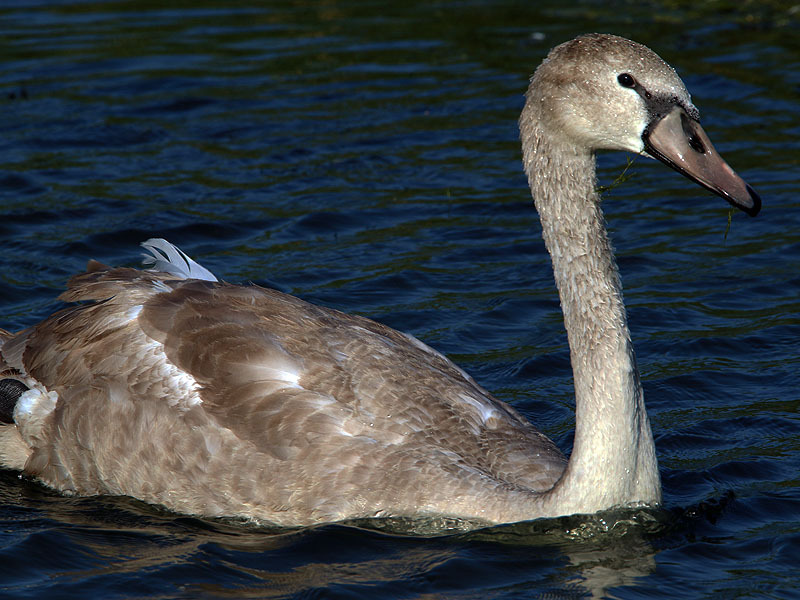 The young swan is fully feathered, but still sports the gray plumage of youth. He will transition to all white after his first full molt next spring. Dad in the front with mom following. 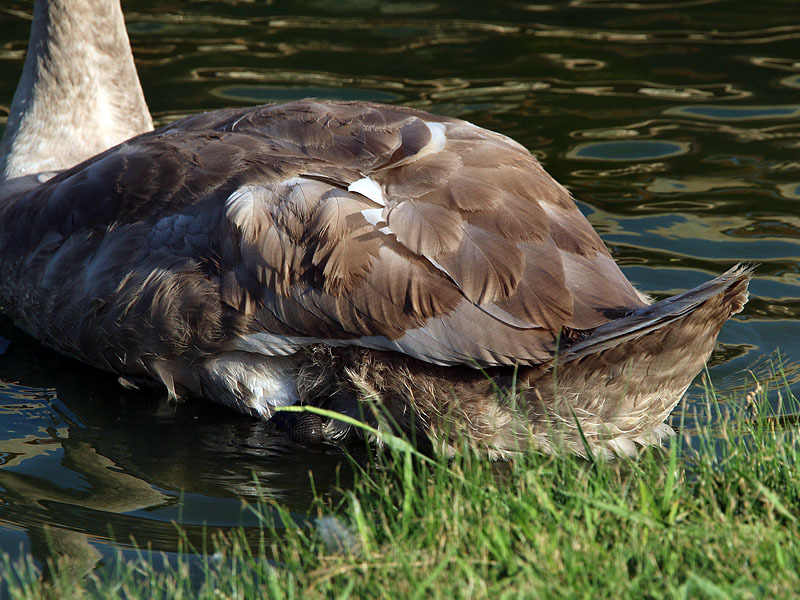 The cygnet at 18 weeks of age. 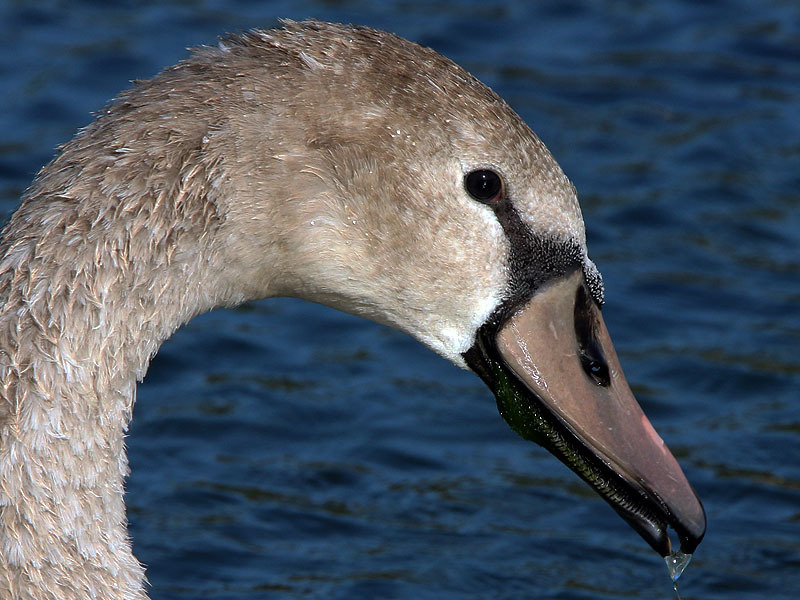 A closer look at the young swan. Flight feather growth is nearly complete. 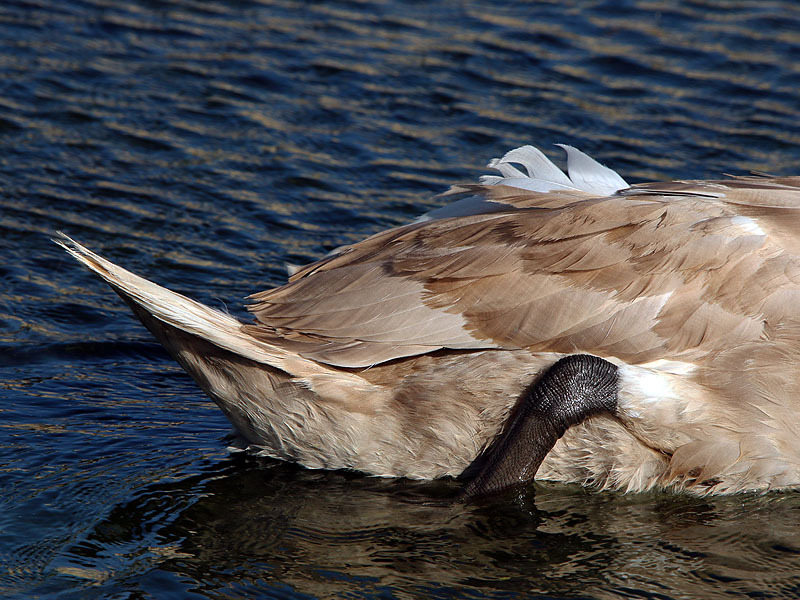 This cygnet will be ready to fly soon. 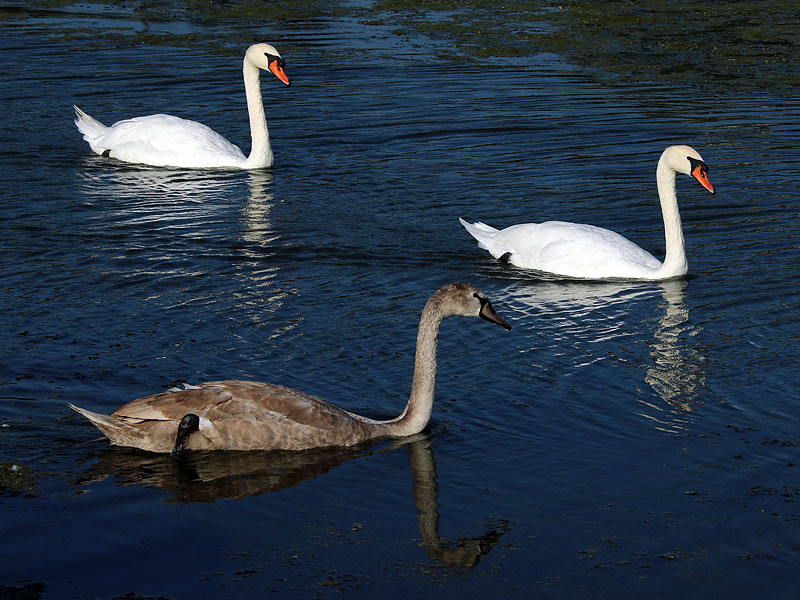 The young swan is already larger than his mother. Probing under water for aquatic vegetation. 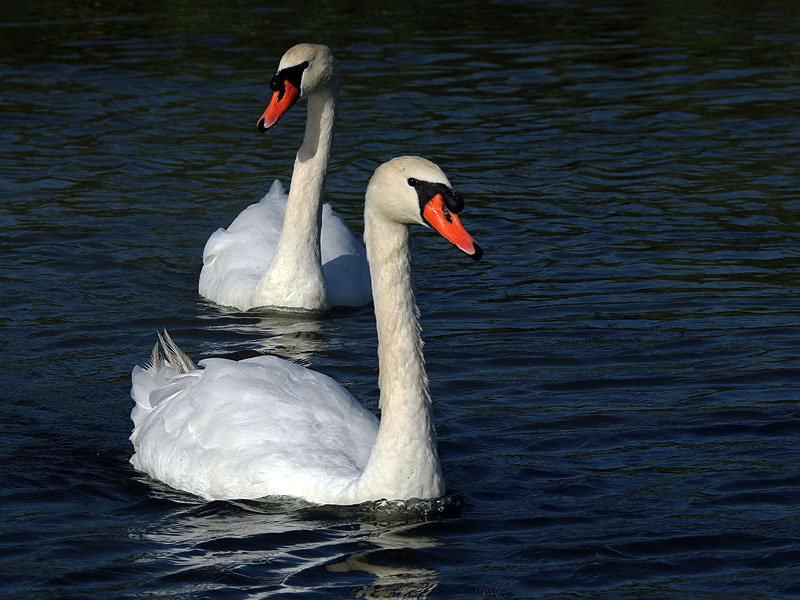 After photographing the Mute Swans for the better part of an hour, I switched gears and began making my way through the park observing all of the other great urban wildlife it has to offer. 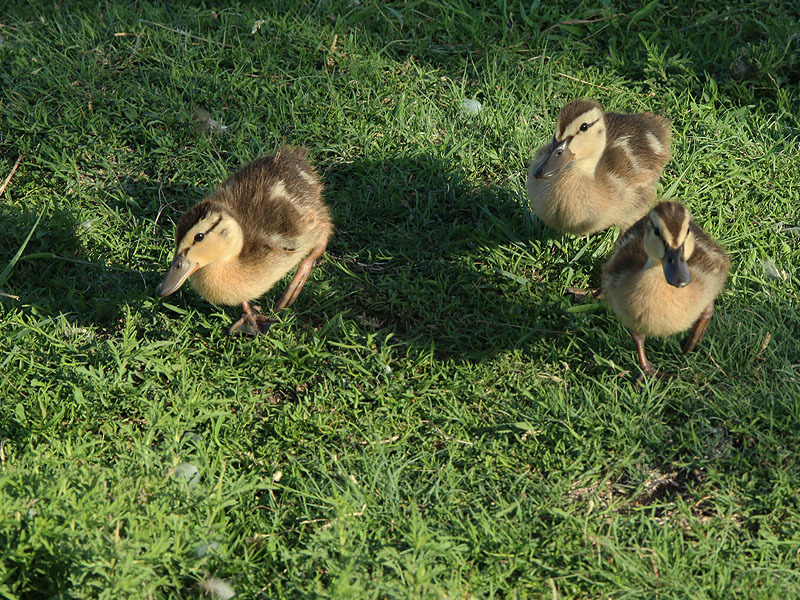 There are still Mallard ducklings being born with some regularity at Josey Ranch Lake. It is amusing how quickly they learn to equate people with food. 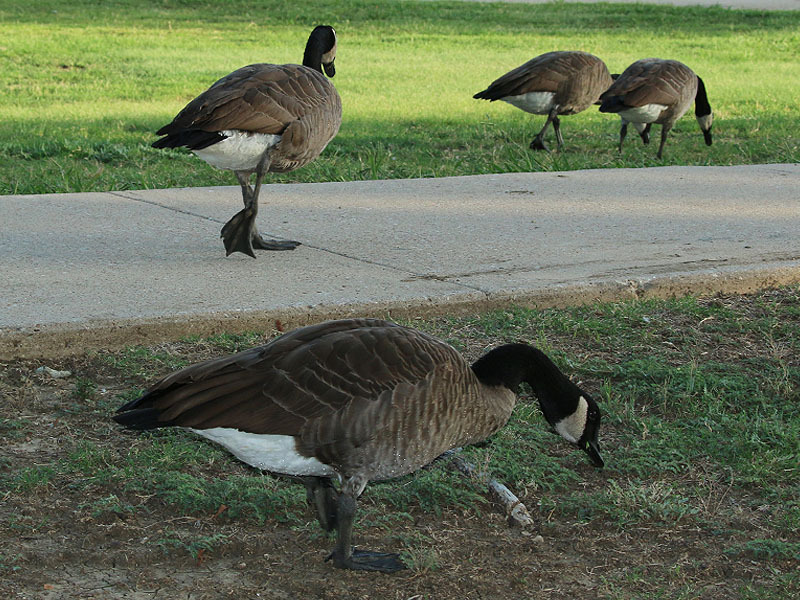 The young birds recognize very early that park patrons often come bearing gifts of tasty bread! 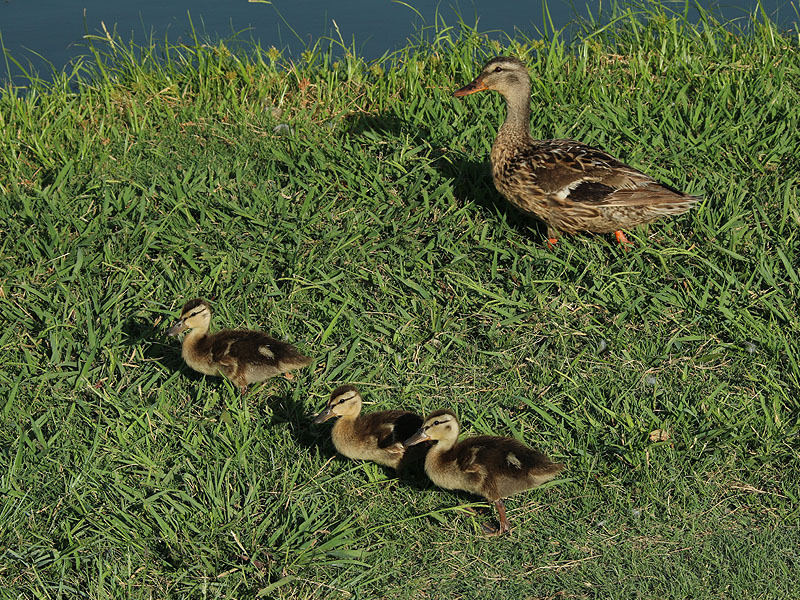 The young birds are not bashful about approaching new people on the scene—much to the dismay of their more cautious mother! They have already learned to equate people with food. 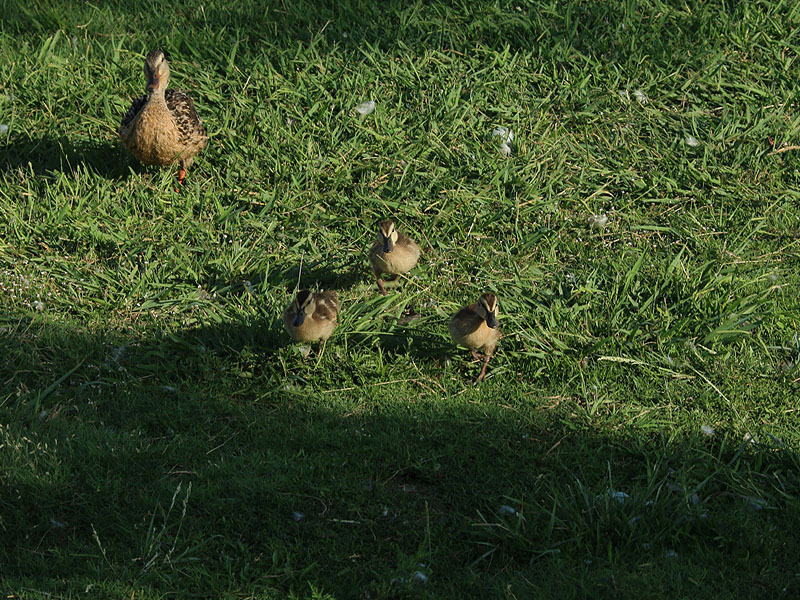 Mom is a little more cautious than her youngsters. 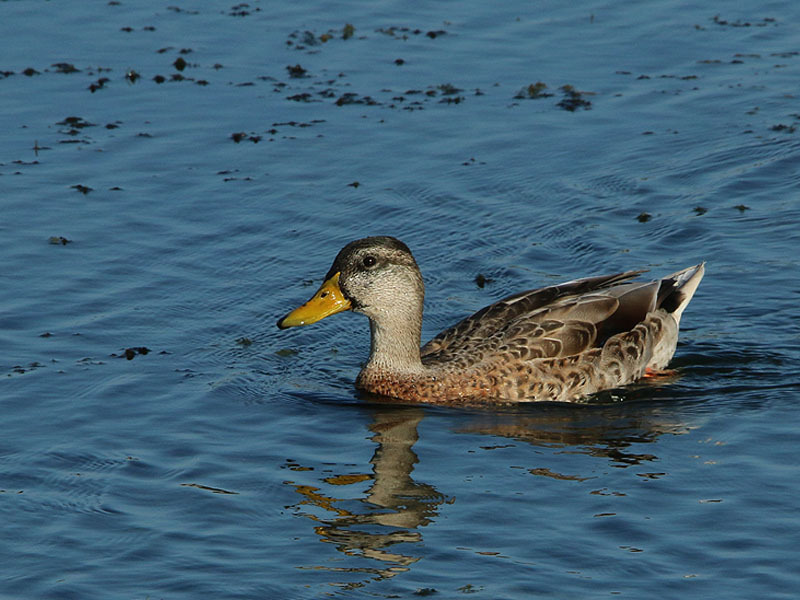 A male Mallard still in his eclipse plumage. 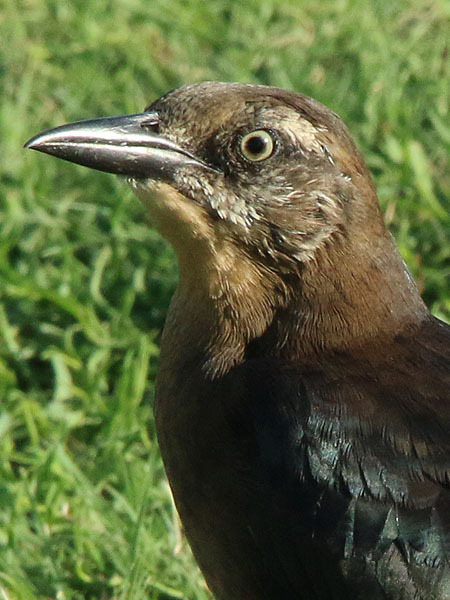 The Great-tailed Grackle is one of the most successful examples of urban wildlife. 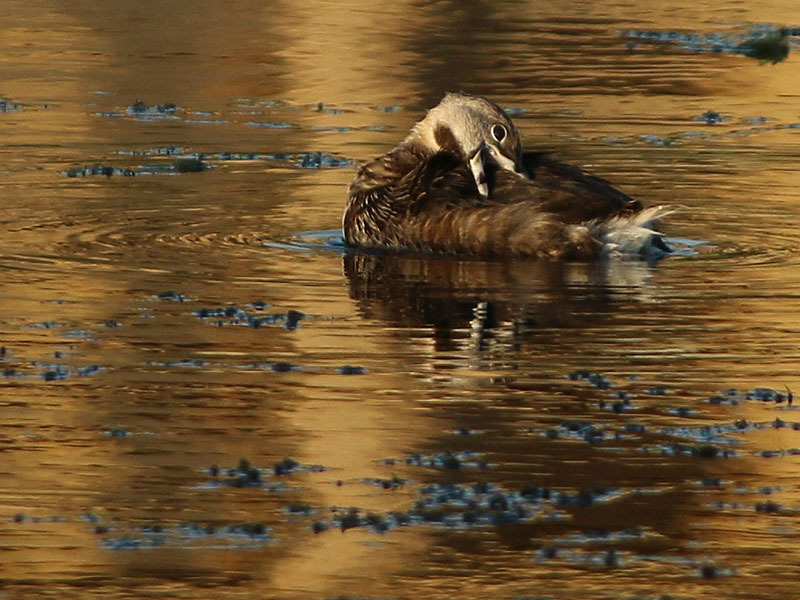 These adaptable birds do extremely well in the city, where urban abundance encourages them to reproduce prodigiously. 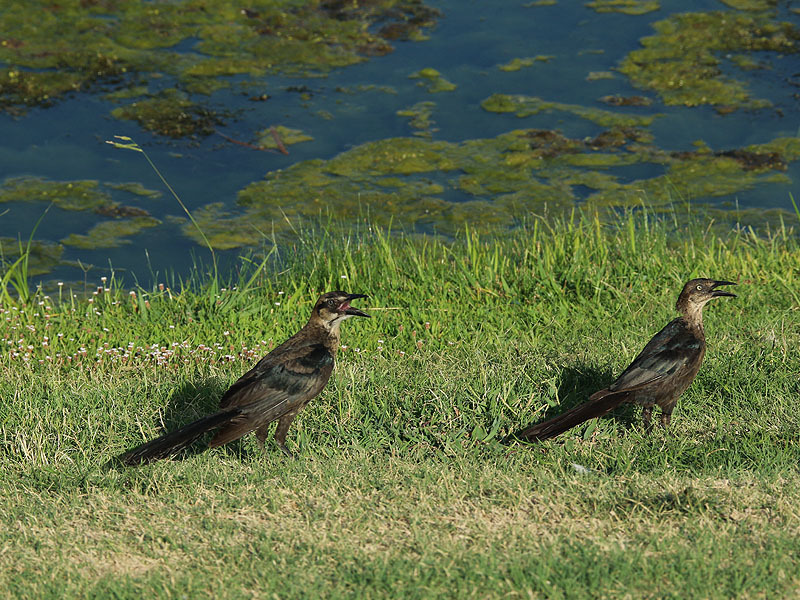 Indeed, there was another bumper crop of baby grackles again this year. 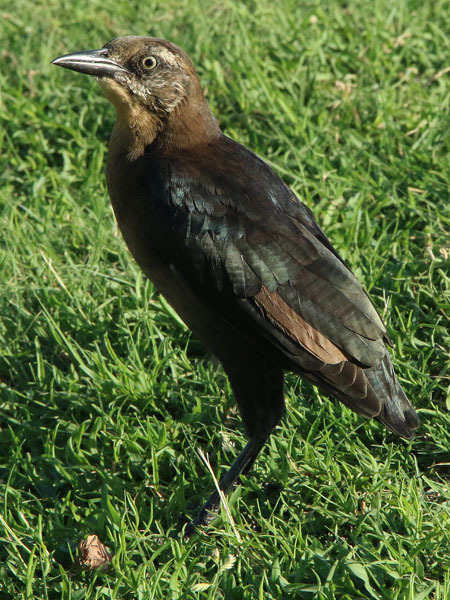 At this time of the year, most of the juvenile grackles have reached adult size and are able to fly. Still, many—if not most—of the youngsters continue to follow their parents around begging to be fed for quite some time after they should be capable of caring for themselves. 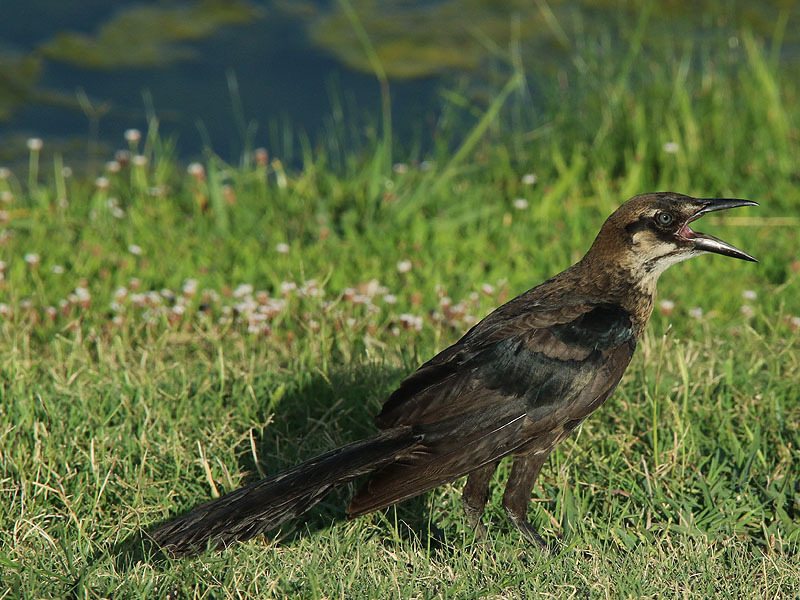 A juvenile Great-tailed Grackle follows his mother demanding to be fed. 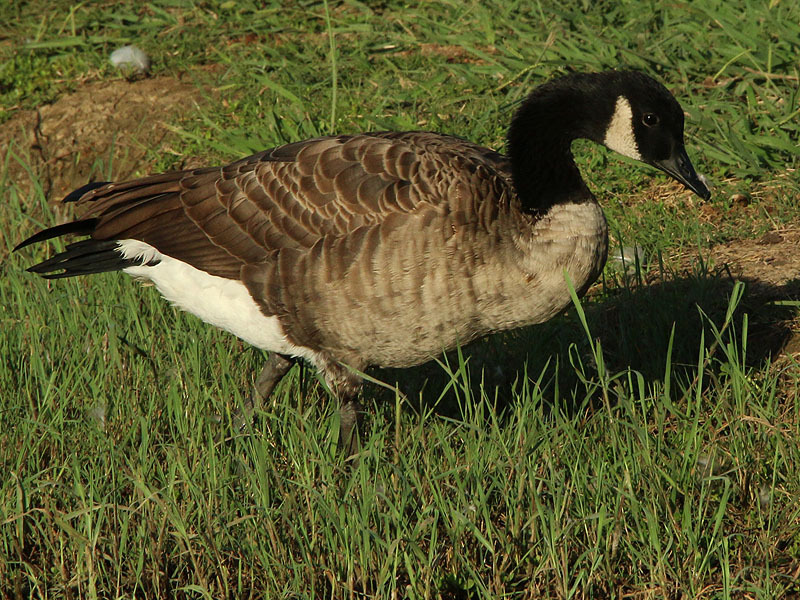 She has lost her tail feathers to the end of summer molt. 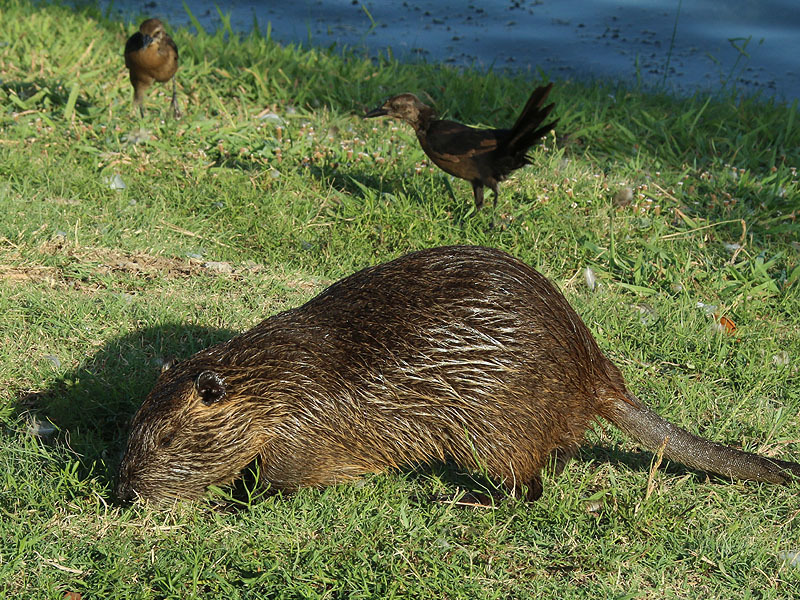 Nutria were present on the banks of the lake again this week as per usual. I found the big fellow below very entertaining as he engaged in his feeding and grooming activities without concern for my proximity. 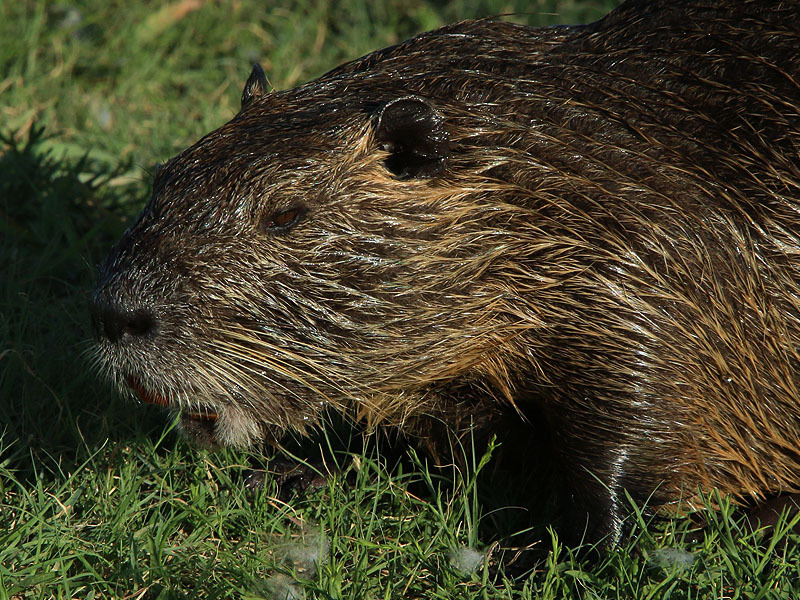 A large Nutria just emerging from the water. Wandering a little more widely than normal, I made my way over to the second, smaller lake on the park property. 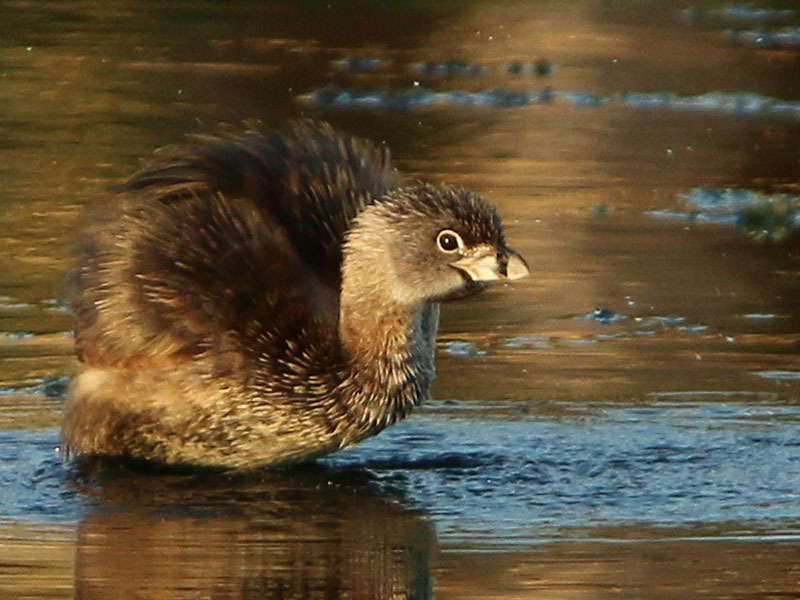 There I discovered and American Coot in possible distress. A couple of the bird’s feather jutted up as if the bird had sustained some kind of injury. Hopefully this is not a problem that a molt cannot effectively address. 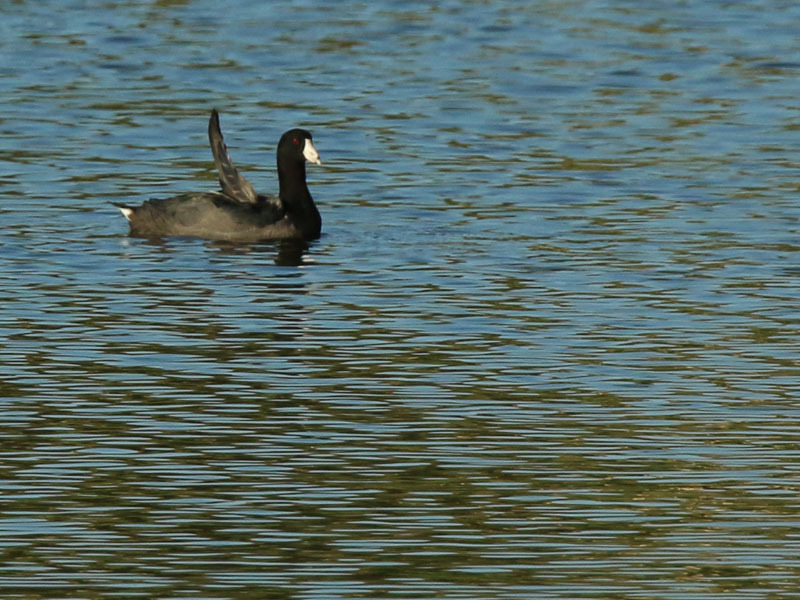 An American Coot showing sow disfigurement to one of its wings. 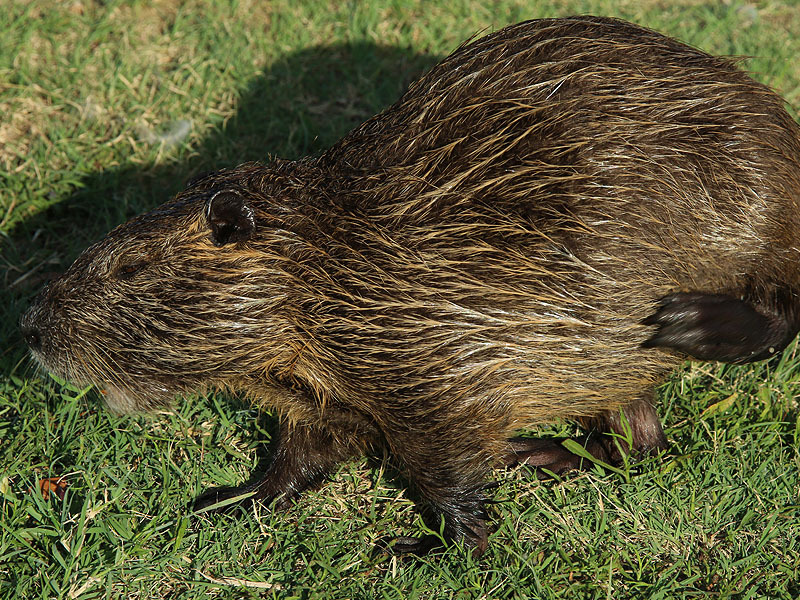 This species is native to North America. 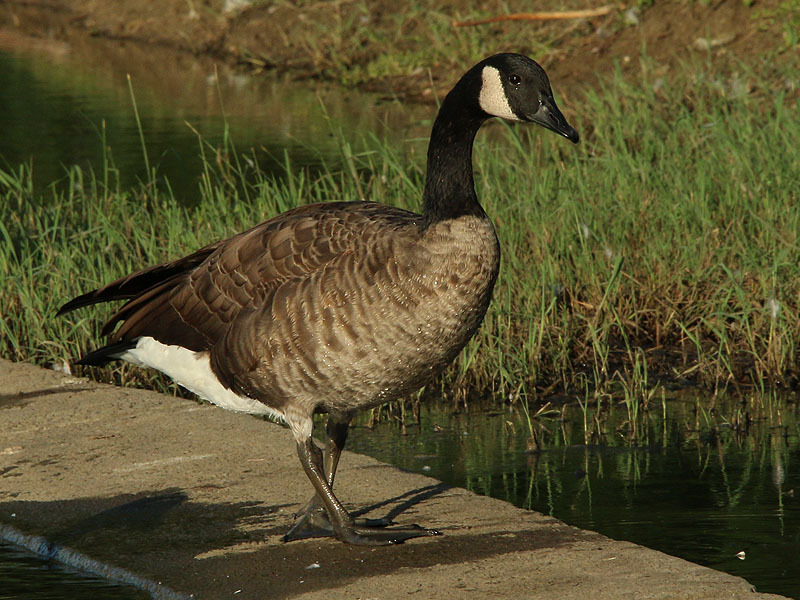 It breeds in Canada and the northern United States in a variety of habitats. 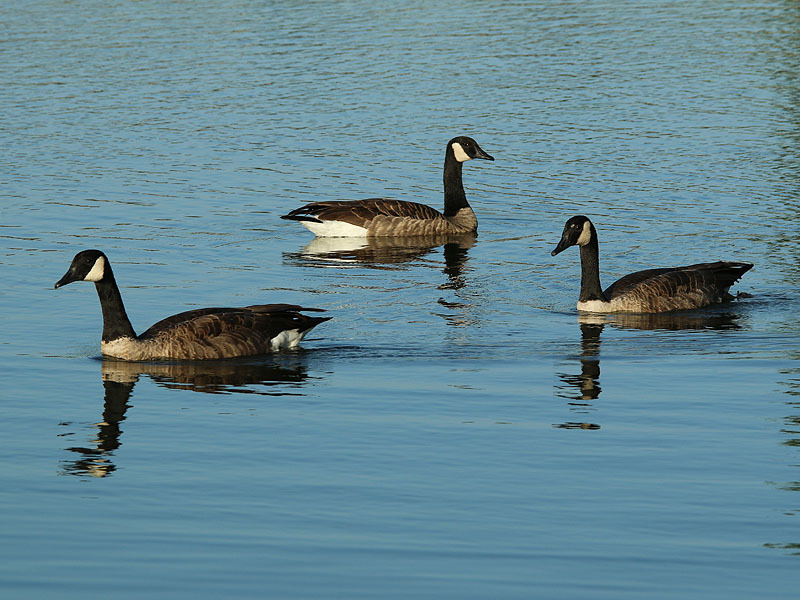 The Great Lakes region maintains a very large population of Canada geese. 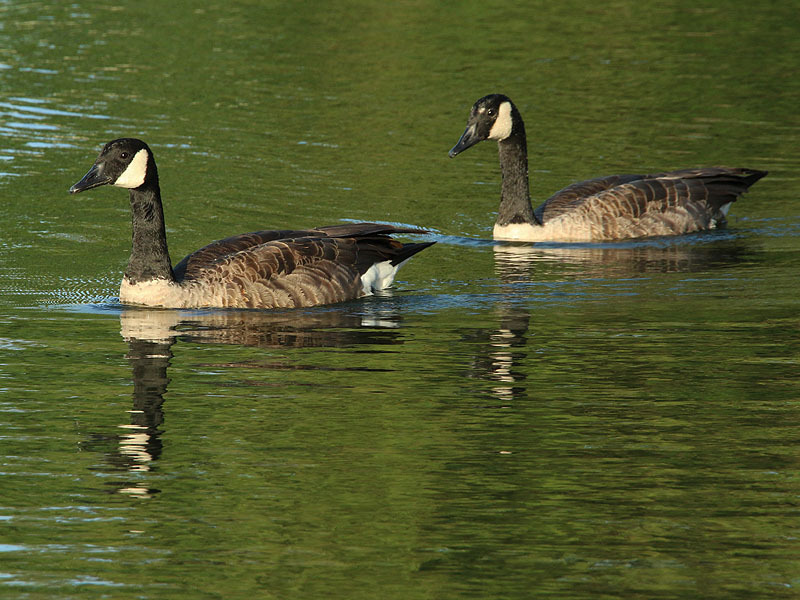 Canada geese occur year-round in the southern part of their breeding range, including most of the eastern seaboard and the Pacific coast. 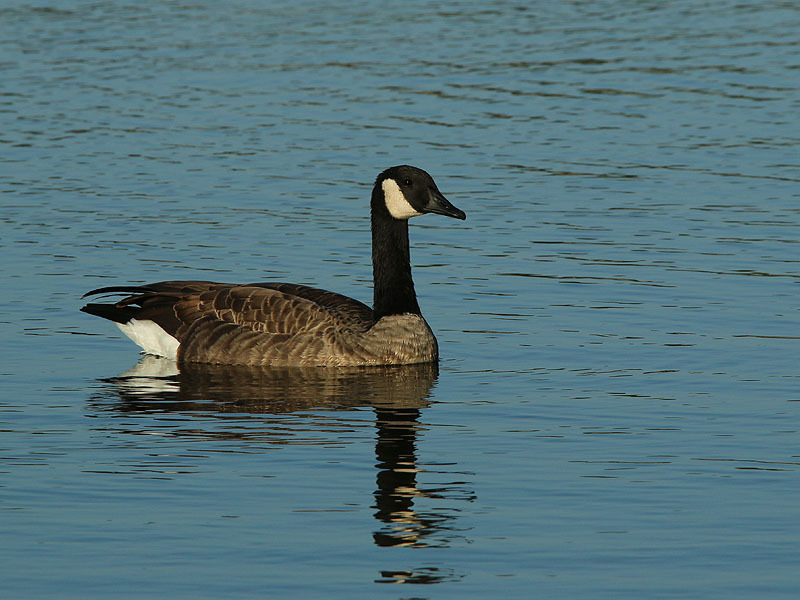 Between California and South Carolina in the southern United States and northern Mexico, Canada geese are primarily present as migrants from further north during the winter. 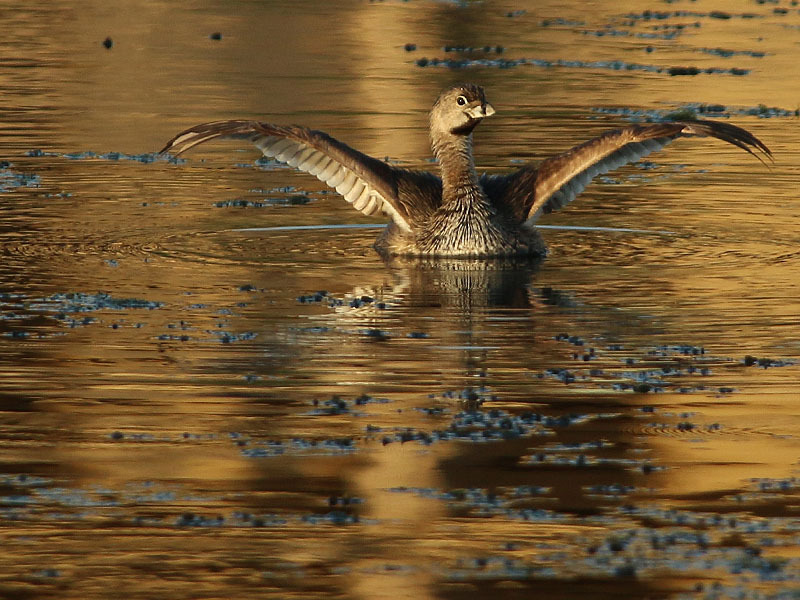 By the early 20th century, over-hunting and loss of habitat in the late 19th century and early 20th century had resulted in a serious decline in the numbers of this bird in its native range. 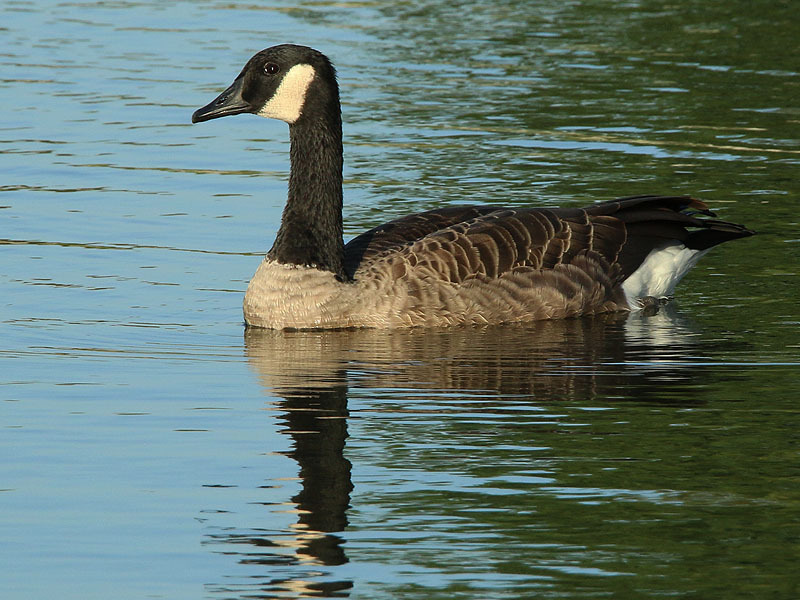 The giant Canada goose subspecies was believed to be extinct in the 1950s until, in 1962, a small flock was discovered wintering in Rochester, Minnesota, by Harold Hanson of the Illinois Natural History Survey. In 1964, the Northern Prairie Wildlife Research Center was built near Jamestown. Its first director, Harvey K. Nelson, talked Forrest Lee into leaving Minnesota. 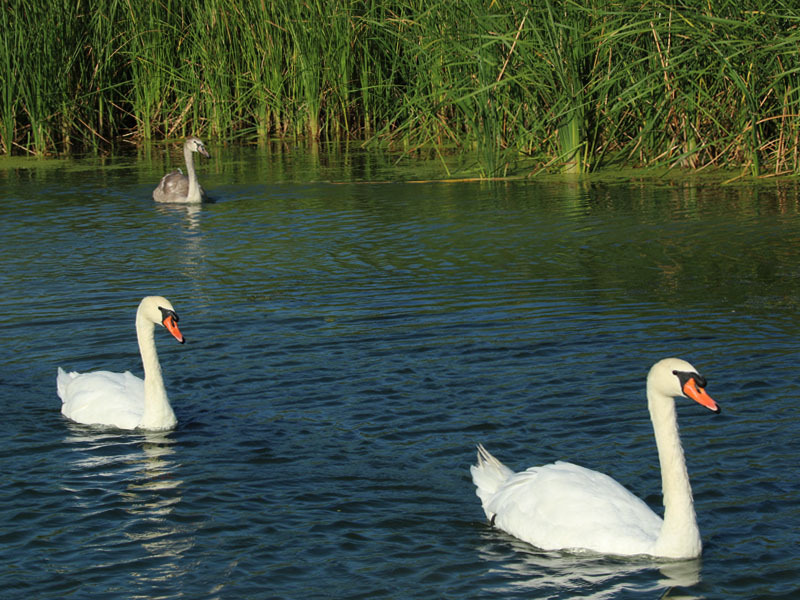 Forrest Lee would head the center’s Canada goose production and restoration program. Forrest soon had 64 pens with 64 breeding pairs of screened, high-quality birds. The project involved private, state and federal resources and relied on the expertise and cooperation of many individuals. 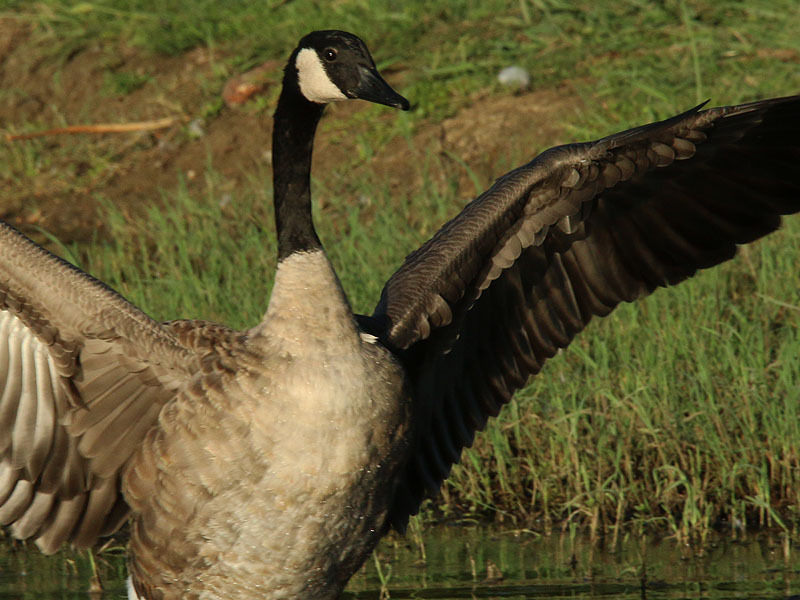 By the end of 1981, more than 6,000 giant Canada geese had been released at 83 sites in 26 counties in North Dakota. 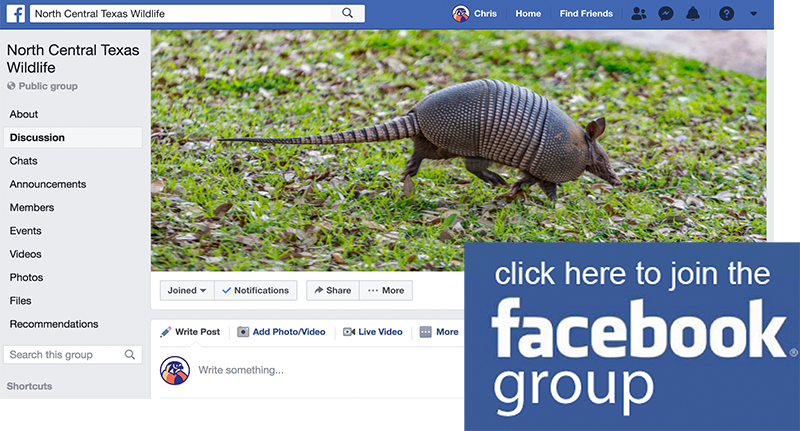 With improved game laws and habitat recreation and preservation programs, their populations have recovered in most of their range, although some local populations, especially of the subspecies occidentalis, may still be declining. 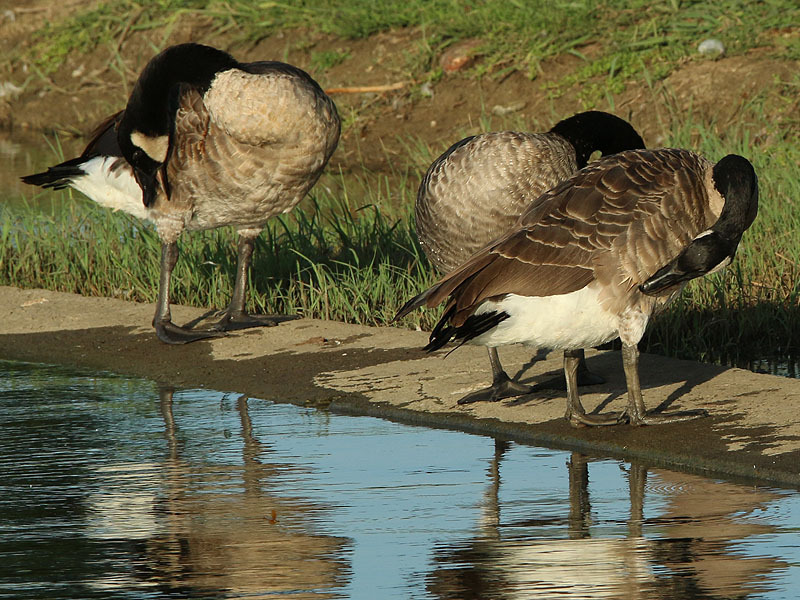 In recent years, Canada goose populations in some areas have grown substantially, so much so that many consider them pests for their droppings, bacteria in their droppings, noise, and confrontational behavior. 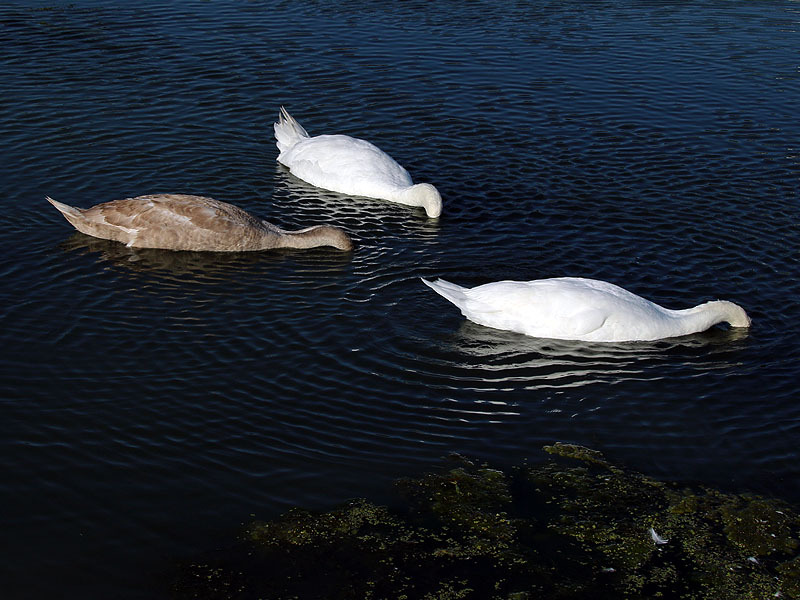 This problem is partially due to the removal of natural predators and an abundance of safe, man-made bodies of water near food sources, such as those found on golf courses, in public parks and beaches, and in planned communities. 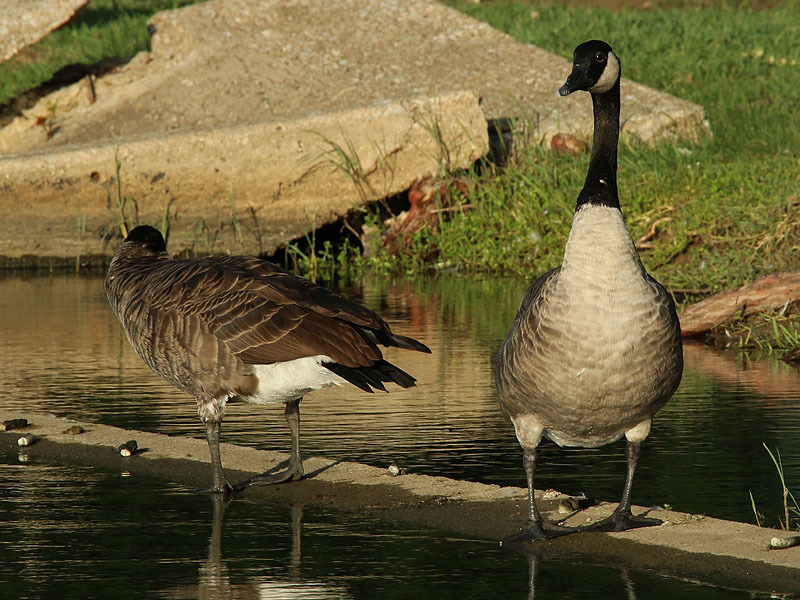 Due in part to the interbreeding of various migratory subspecies with the introduced non-migratory Giant subspecies, Canada geese are frequently a year-around feature of such urban environments. 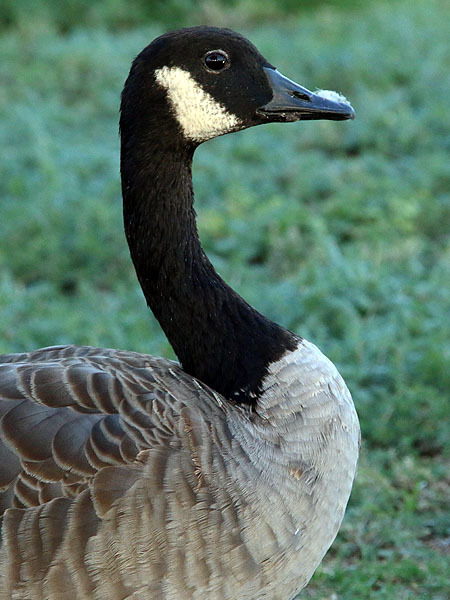 Canada Geese are beautiful birds. 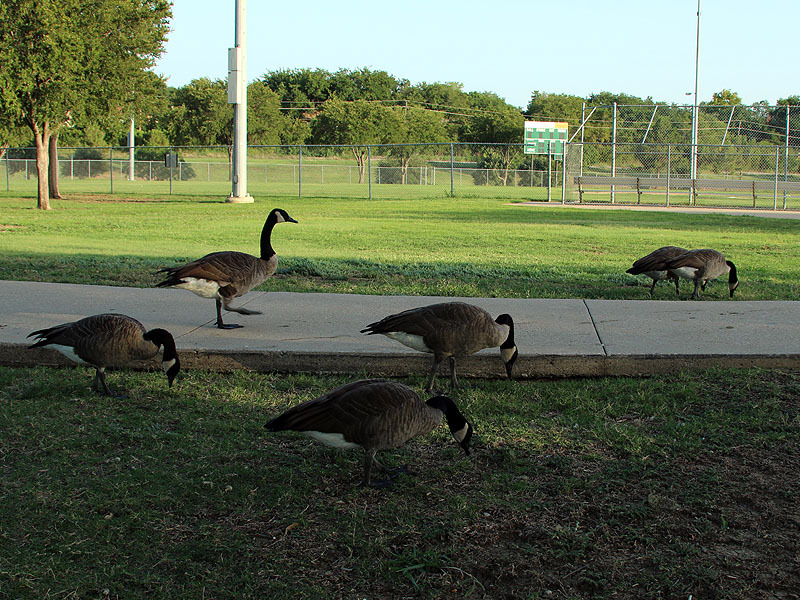 A small flock resides here. 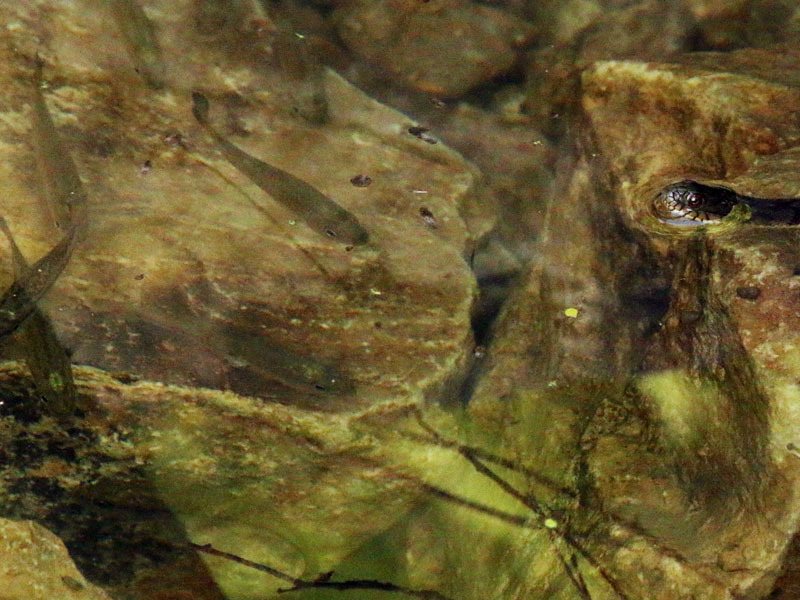 Keeping an eye on me from across the pond. 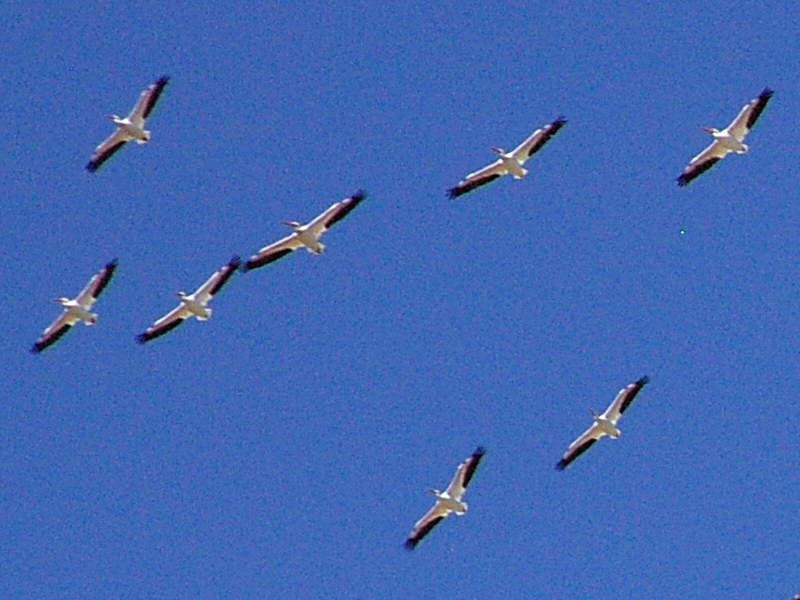 This is a bird built for long migrations. 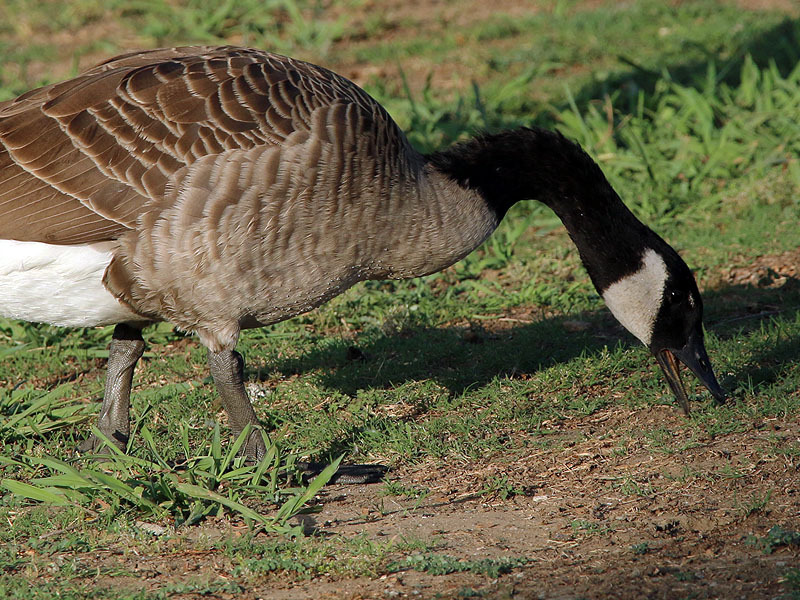 Canada Geese enjoy feeding on lawn grasses. The grass is greener on the other side of the sidewalk. This appears to be a member of one of the dainty-billed subspecies. 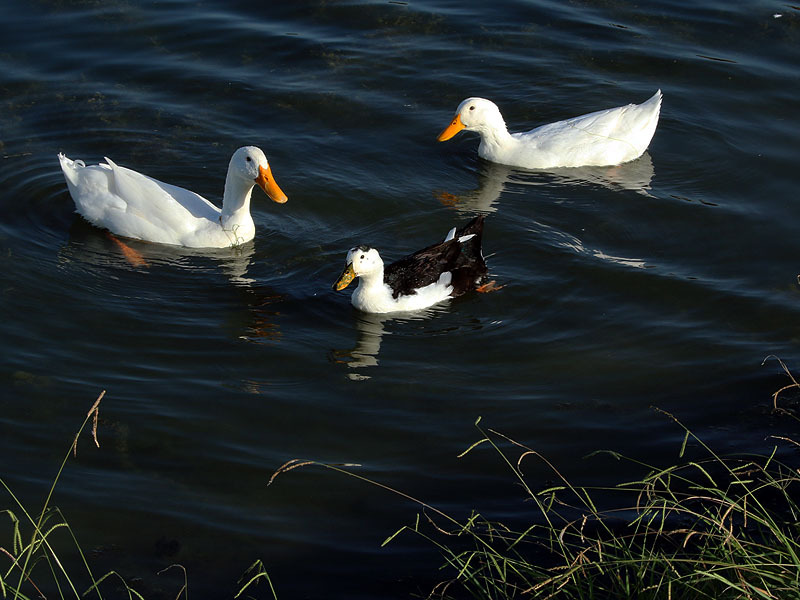 There were a few domestic duck present at this lake as well. 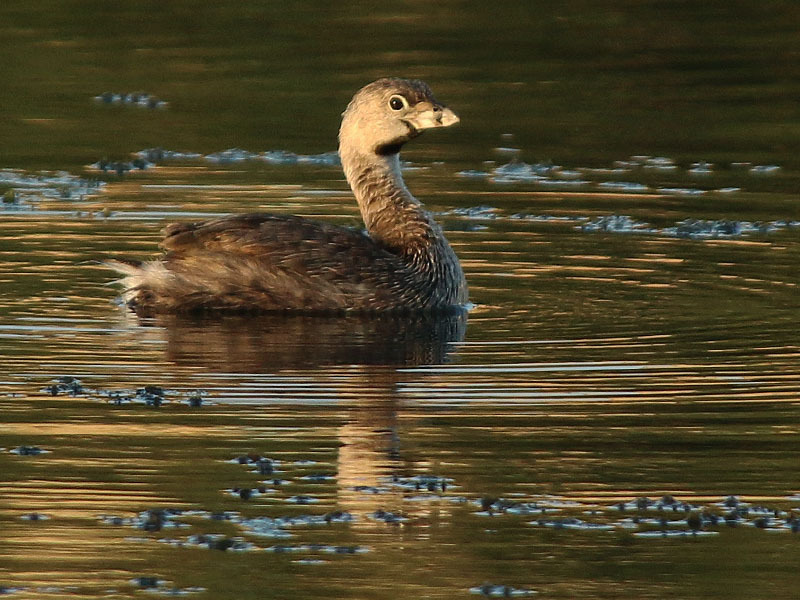 Most interesting was the Crested Duck shown in the photograph below. 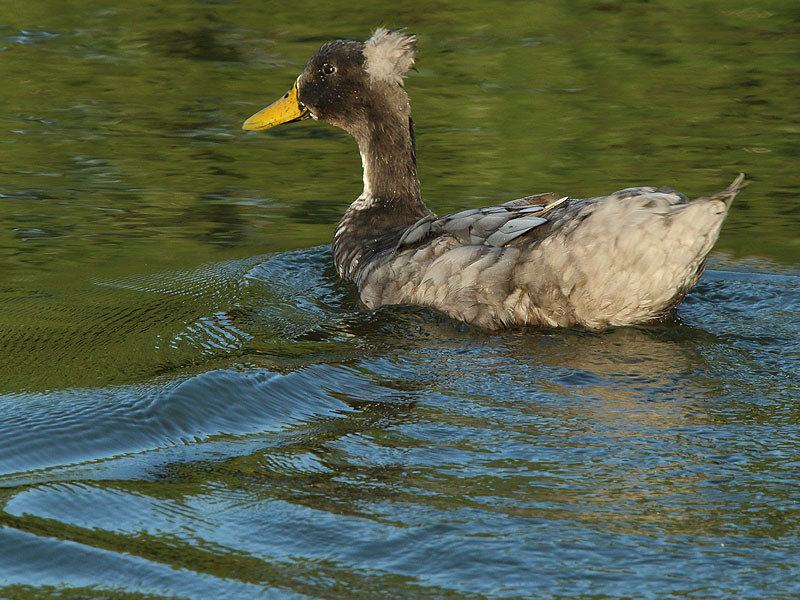 A Crested Duck—another domestic duck descended from Mallards. 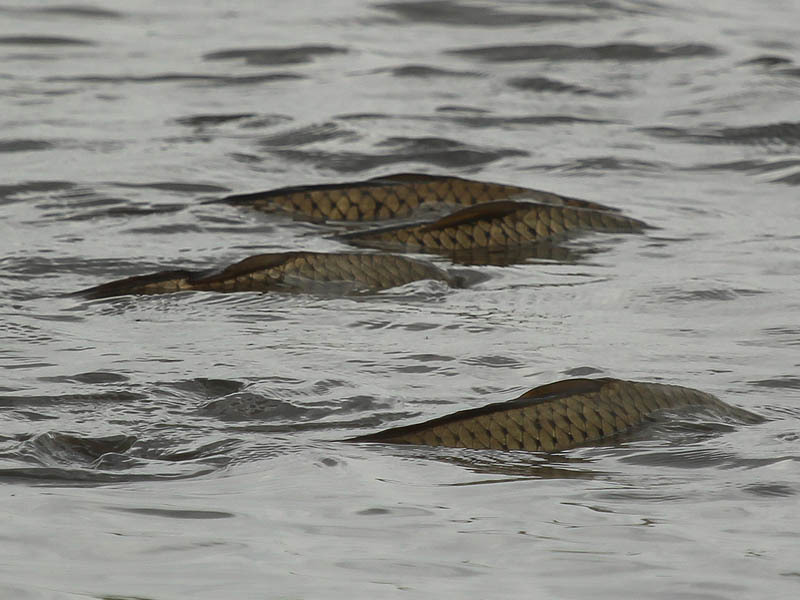 You may remember my post about water snakes hunting fish in a small pool of water from a month or so ago. The water in this spot has dried up and refilled a couple of times in the interim. 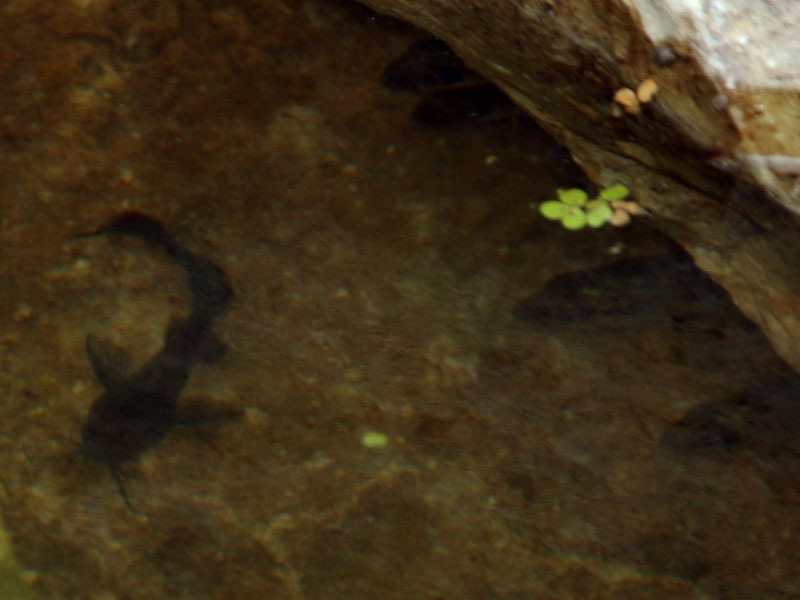 On this afternoon the pool was full with both water and fish—plus a few other surprises. Last time it was Plainbelly Water Snakes hunting here, but not this time. 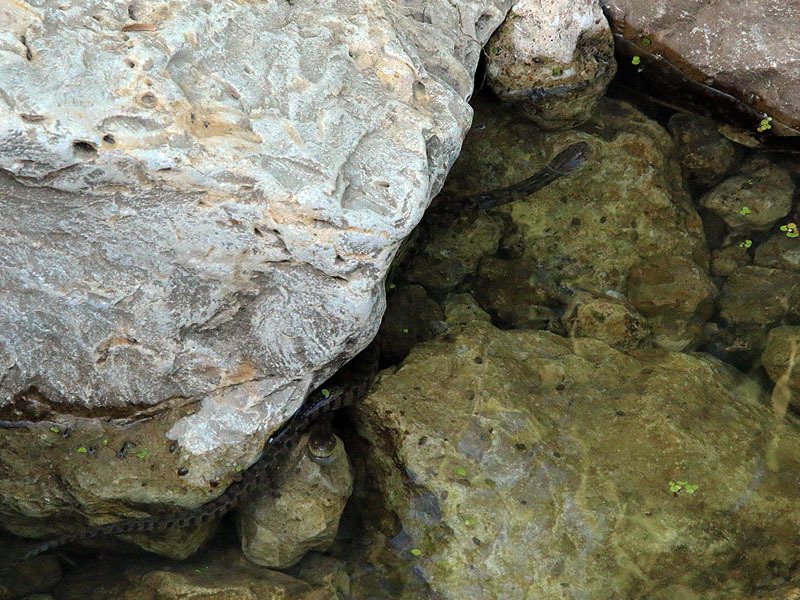 Juvenile Diamondback Water Snakes were the snake of the day. 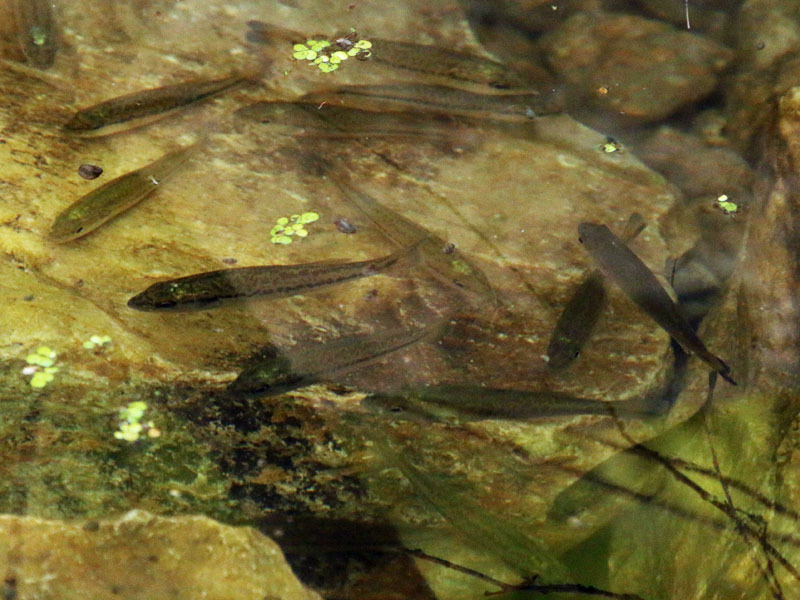 They were busy hunting bass and catfish fry stranded in the pool after the waters from a recent rain shower receded. 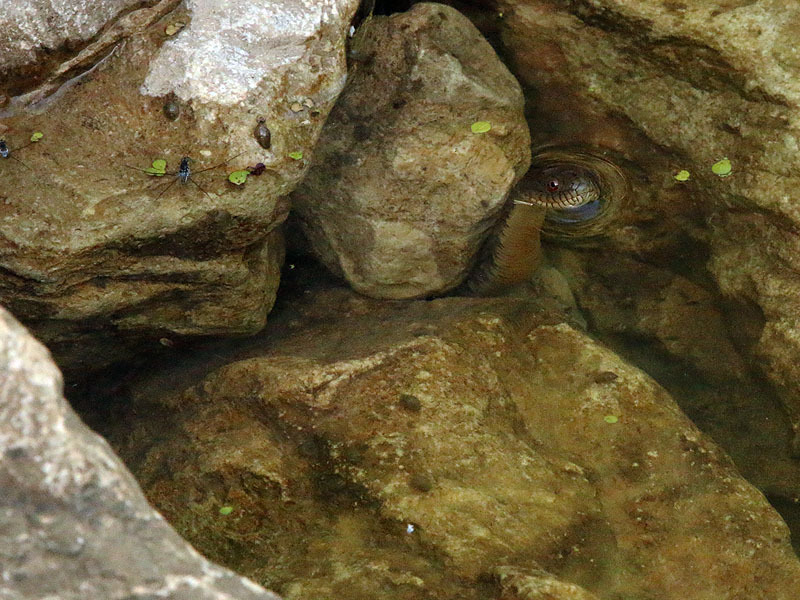 A pair of Diamondback Water Snakes hunting fish in a small pool of water. Taking a breath of air. 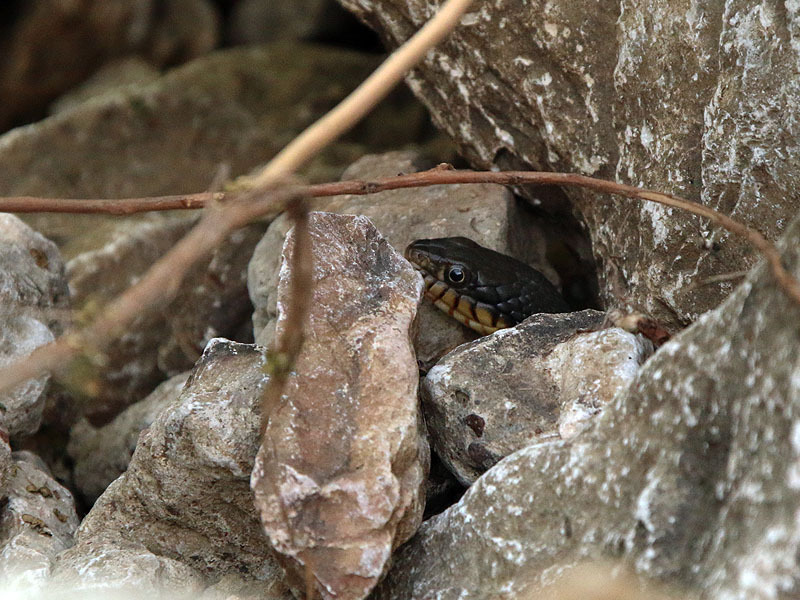 Another water snake hiding just out of the water. Most of the snakes were right around a foot long. 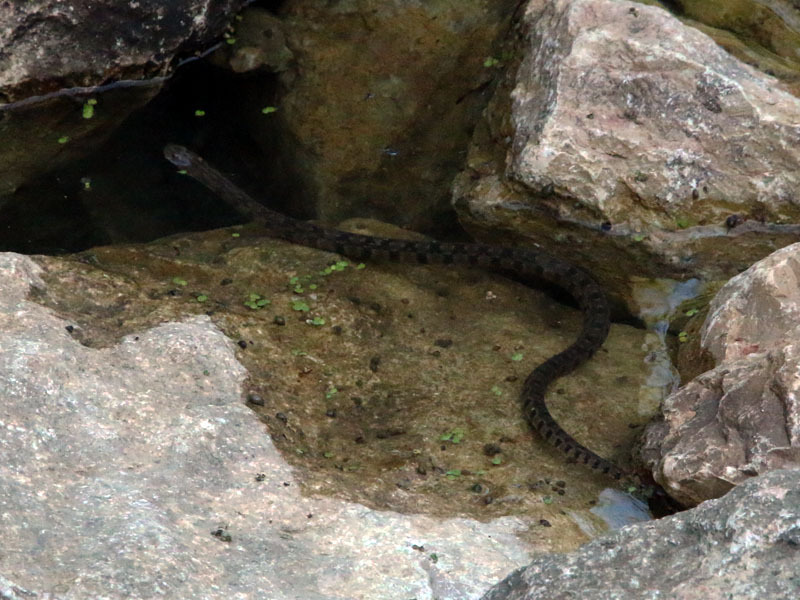 Diamondback Water Snakes can grow to nearly 5 feet in length. 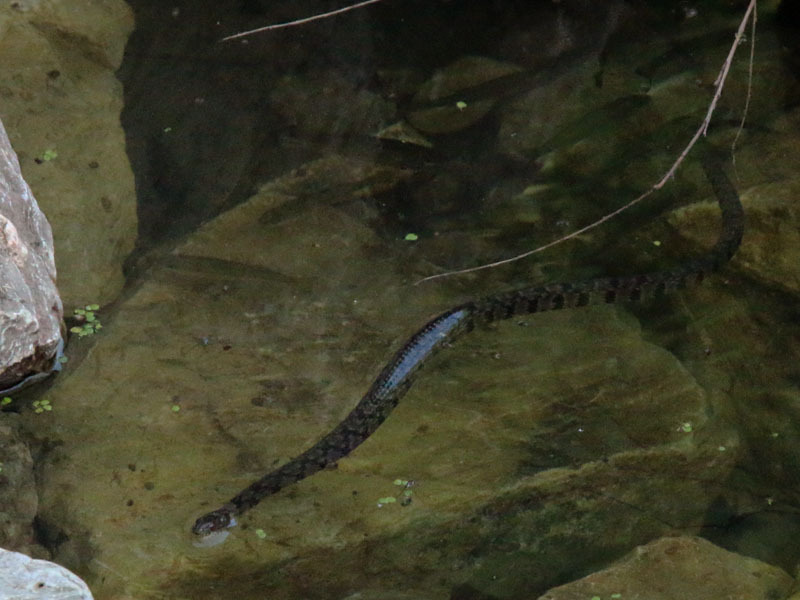 The snakes in this pool were juveniles. 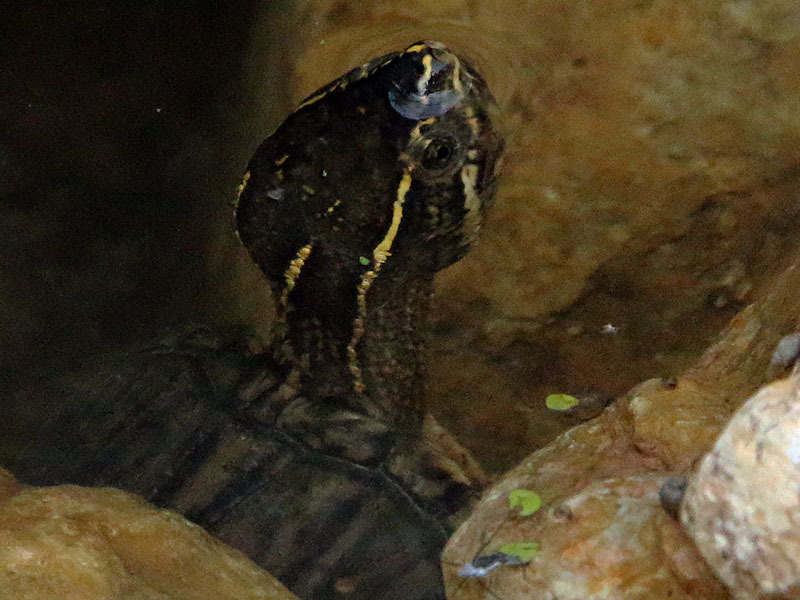 Also in the pool was an Common Musk Turtle. Coming up for air. 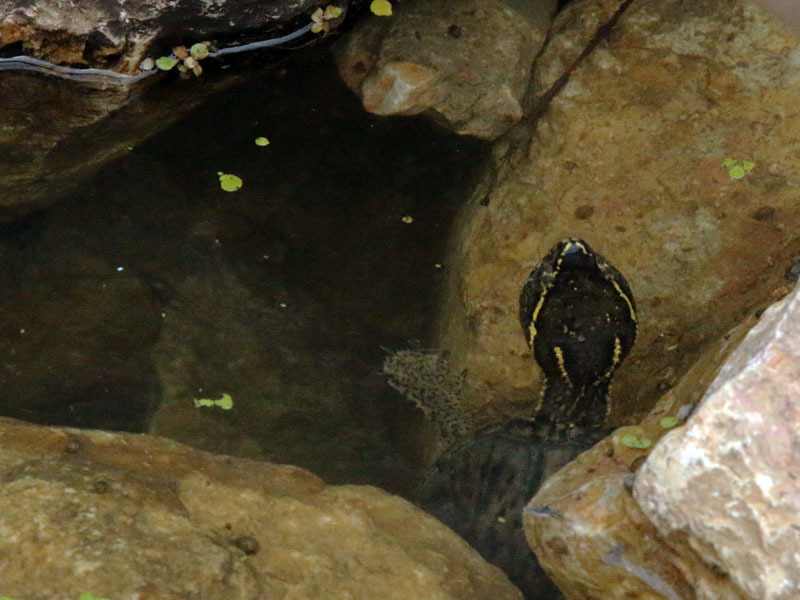 The turtle could stay under water for around 10 minutes at a time. Common Whitetails. 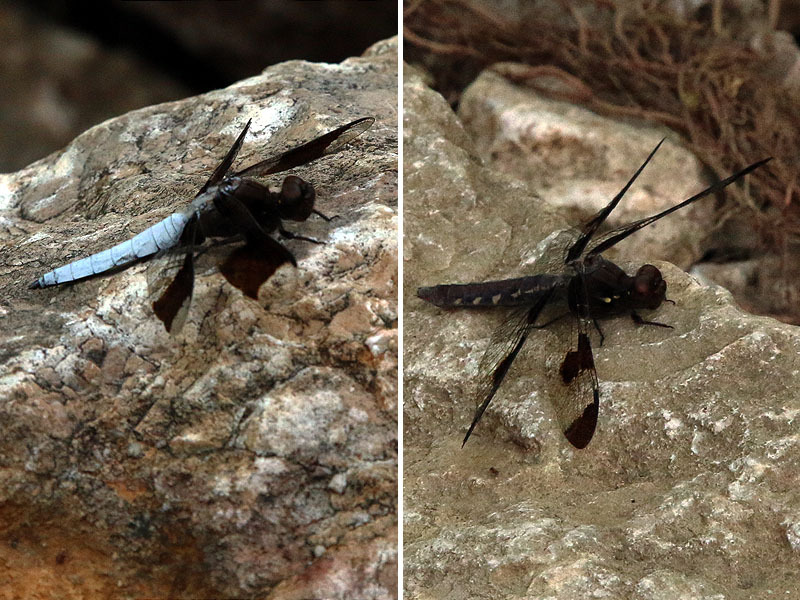 Male left and female right. 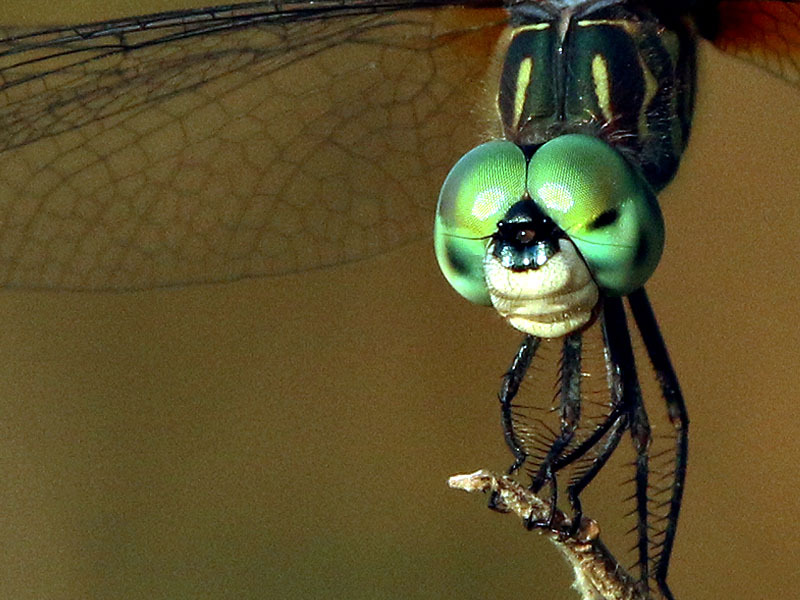 A closer look at the male Blue Dasher. 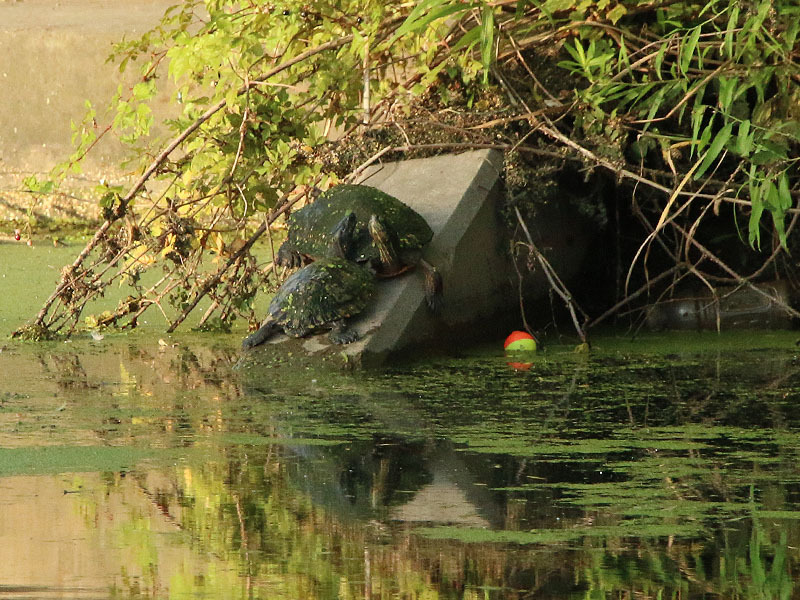 Where you find water you will find Red-eared Sliders. 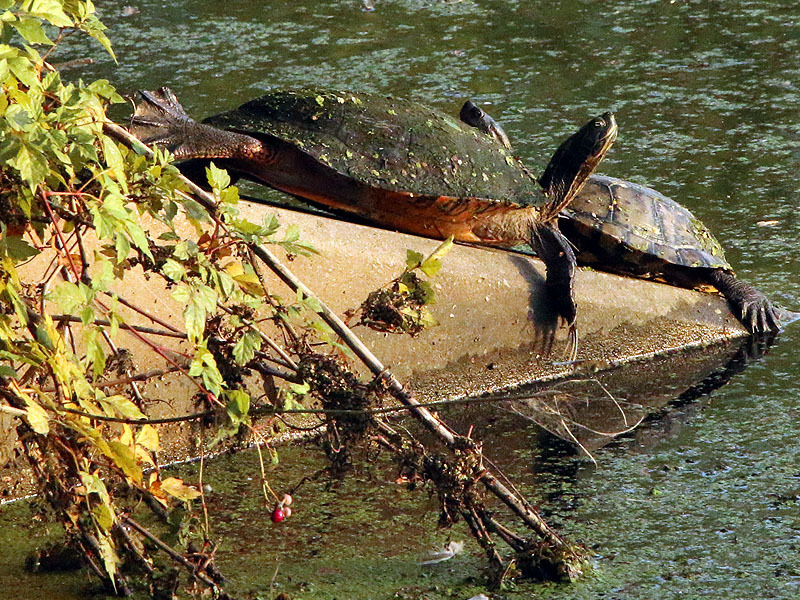 The same turtles from a different angle. 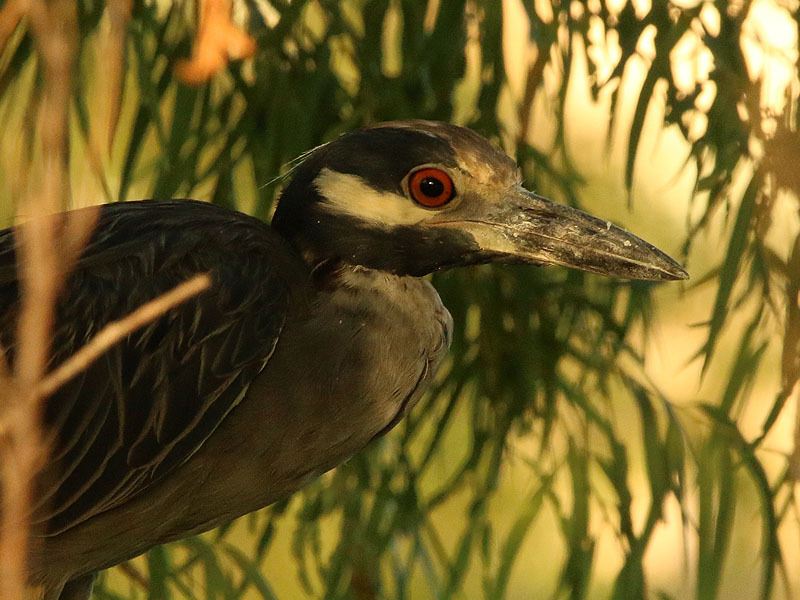 Members of the heron family also enjoy spending time in the willow trees around this pond. On this afternoon I found a lone Snowy Egret and several Yellow-crowned Night Herons waiting for their opportunity to hunt along the pond’s margins. 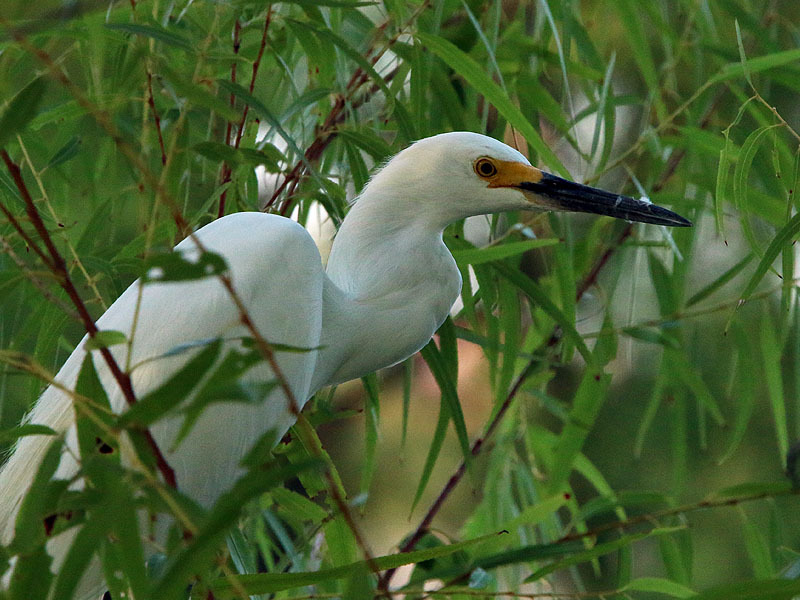 A Snowy Egret in the willows. 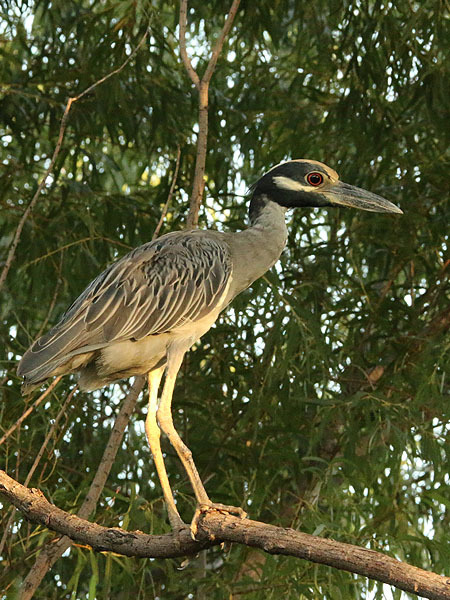 Several Yellow-crowned Night Herons were present. 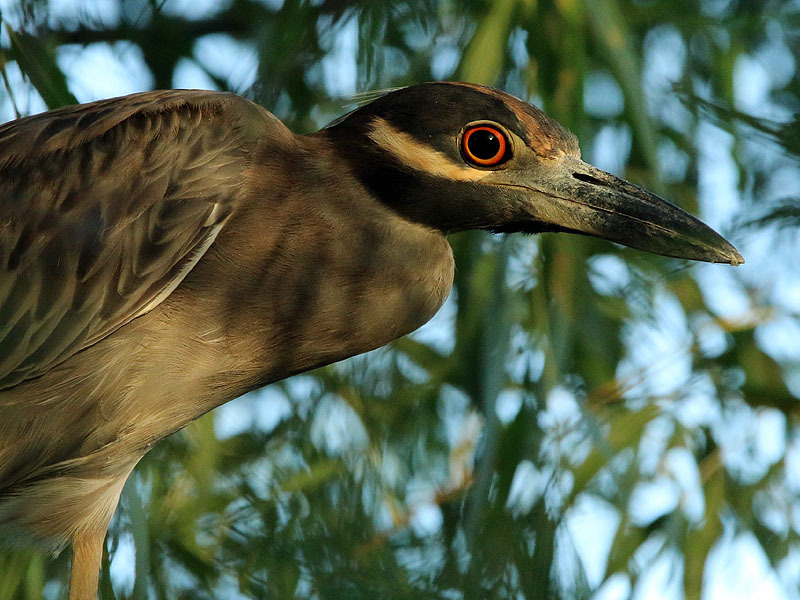 A second Yellow-crowned Night Heron. 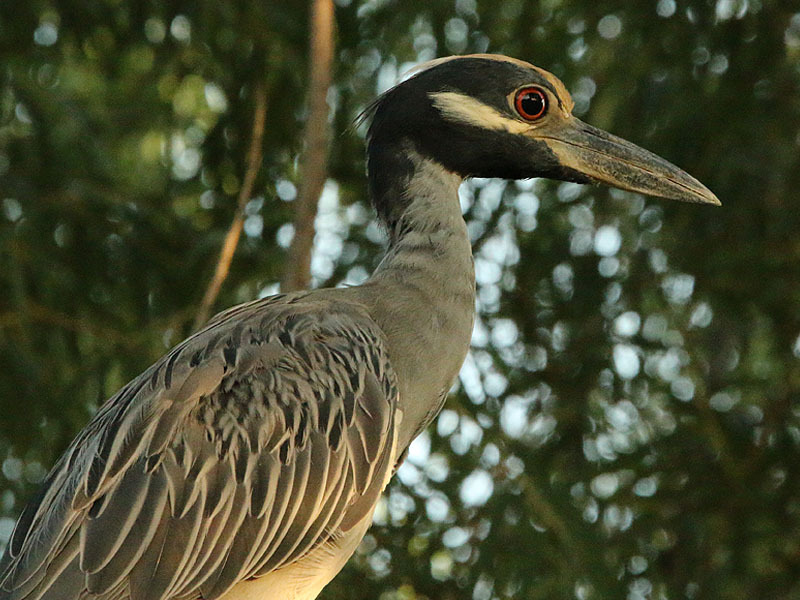 A third heron was located just a few trees down from the others. As the shadows began to grow long at the end of the day, I made my way back up to the main lake. 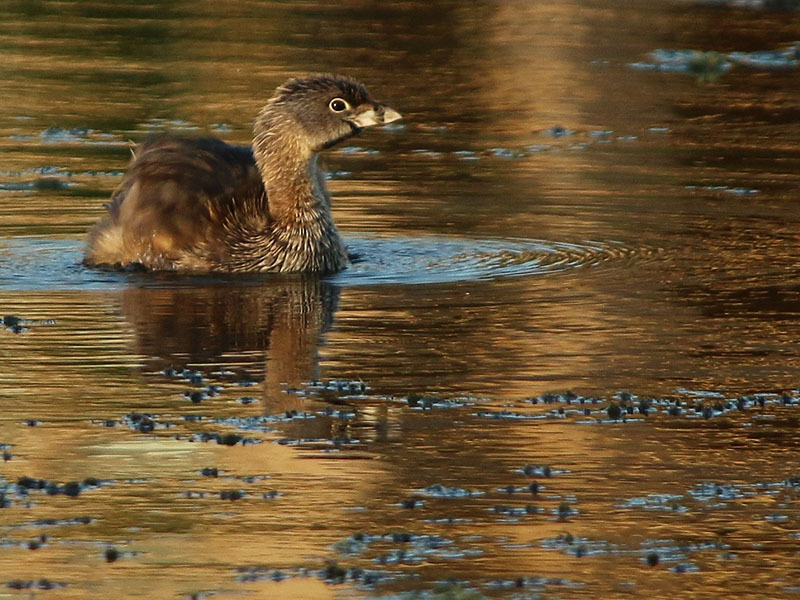 There I was pleased to find a lone Pied-billed Grebe. This little guy was holding steady on a single point on the water. 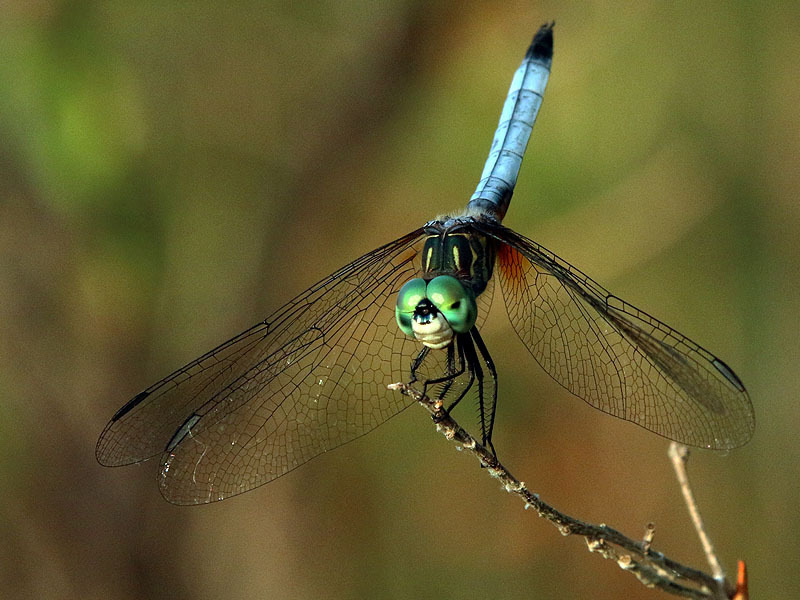 He was spending his time grooming and posturing with his wings. I’m not sure how to explain his behavior, but it was unusual and new in my experience. 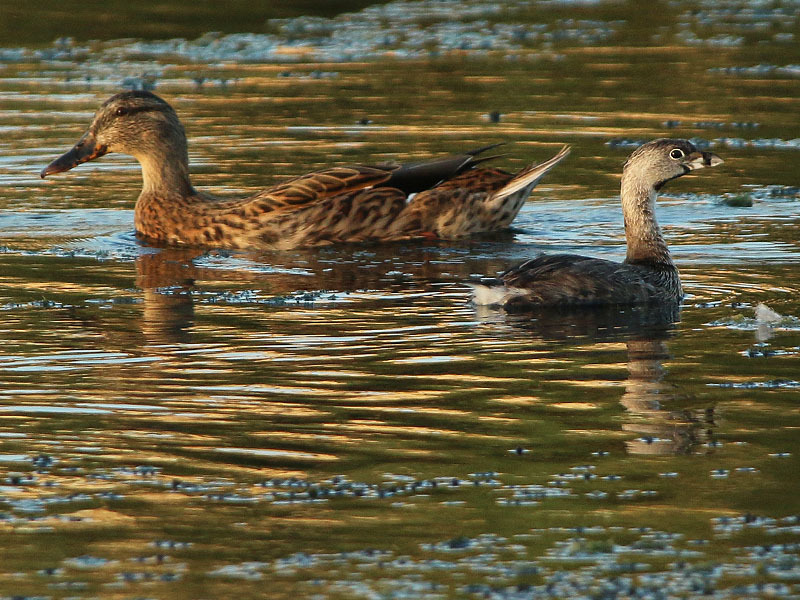 A nice size comparison between the Pied-billed Grebe and a female Mallard. The grebe repeated this display several times while I watched. Around on the far side of the lake is a meadow covered hill where small white wildflowers are growing. 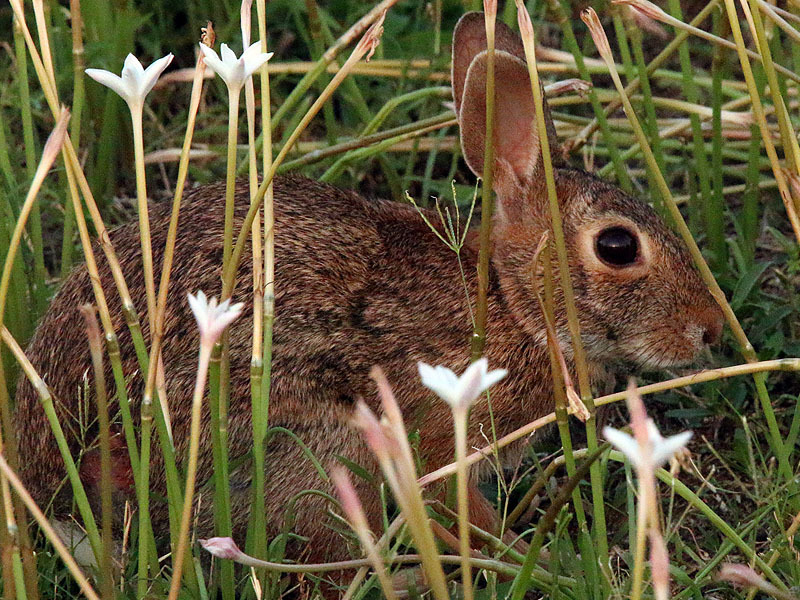 Hidden among all of the delicate petals was a small cottontail rabbit. Can you see him in the picture below? 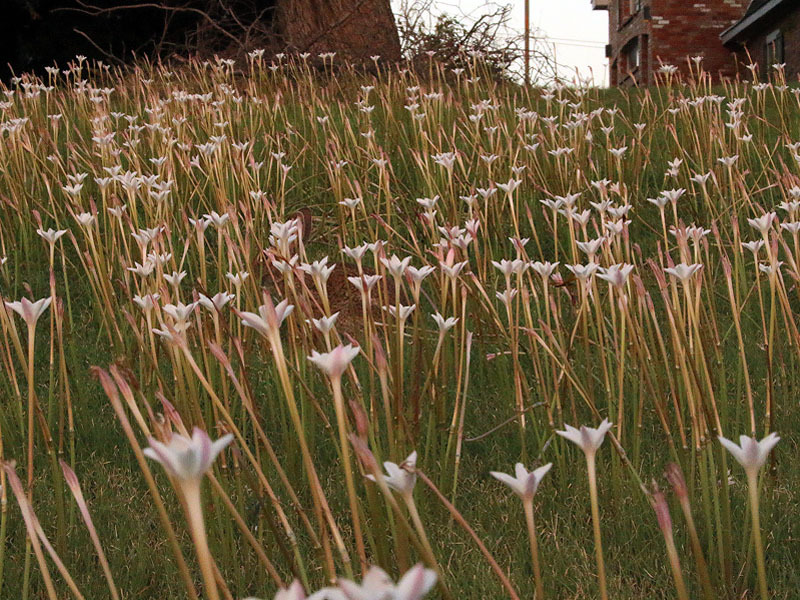 There’s an Eastern Cottontail hidden in these flowers. Do you see him? 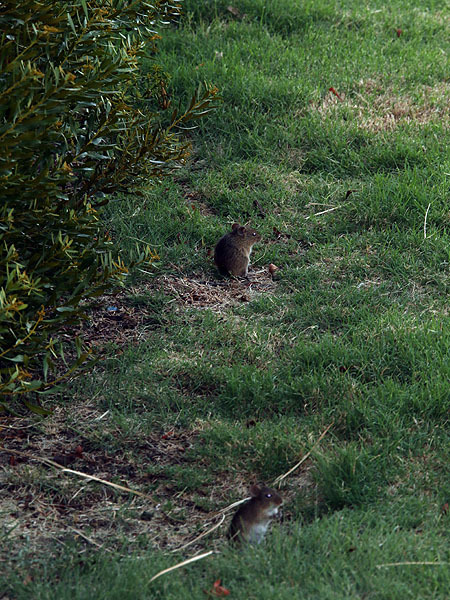 Hispid Cotton Rats emerged from the landscaping to feed as night began to fall. A pair of Hispid Cotton Rats come out to feed as the sun begins to set. 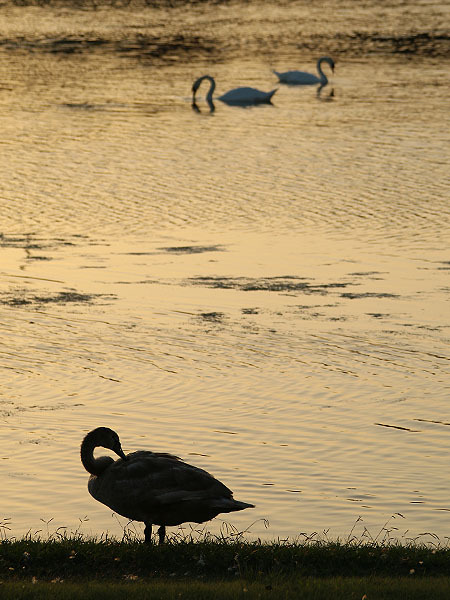 So closes my efforts to follow the Mute Swan family for this summer. 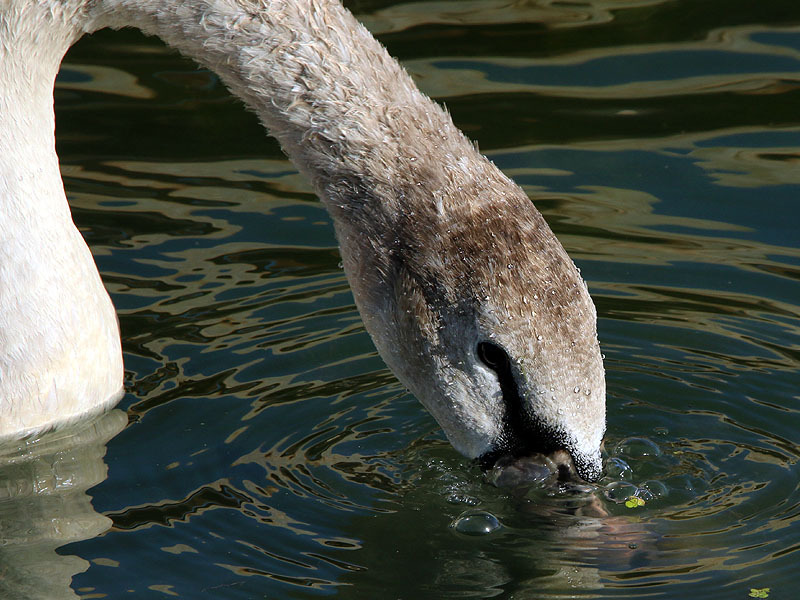 The young cygnet—the only one of an initial three to survive—is strong and healthy. 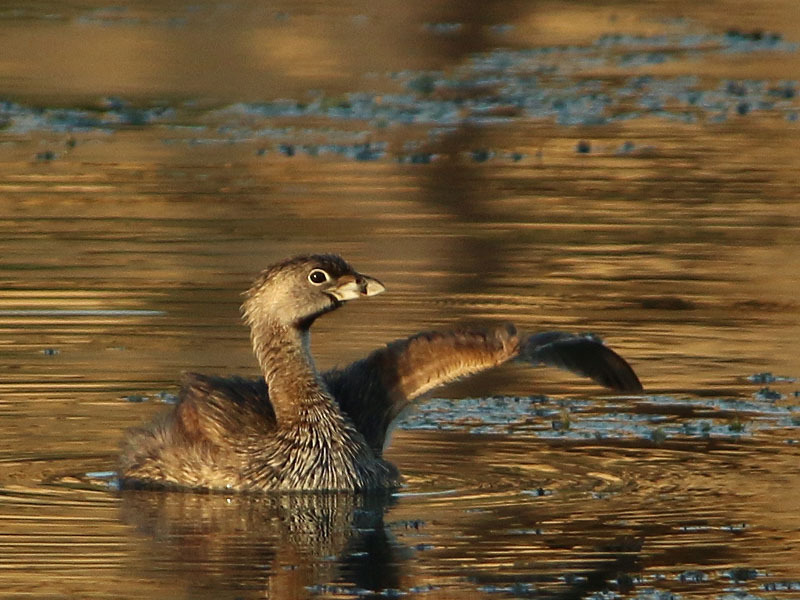 His parents have done a commendable job keeping him safe in the four and a half months it has taken him to grow from a tiny young bird to his present size. I understand that this pond becomes a hot bed of migrating ducks of all kinds during our winter months. I will pay this spot another visit later in the year! 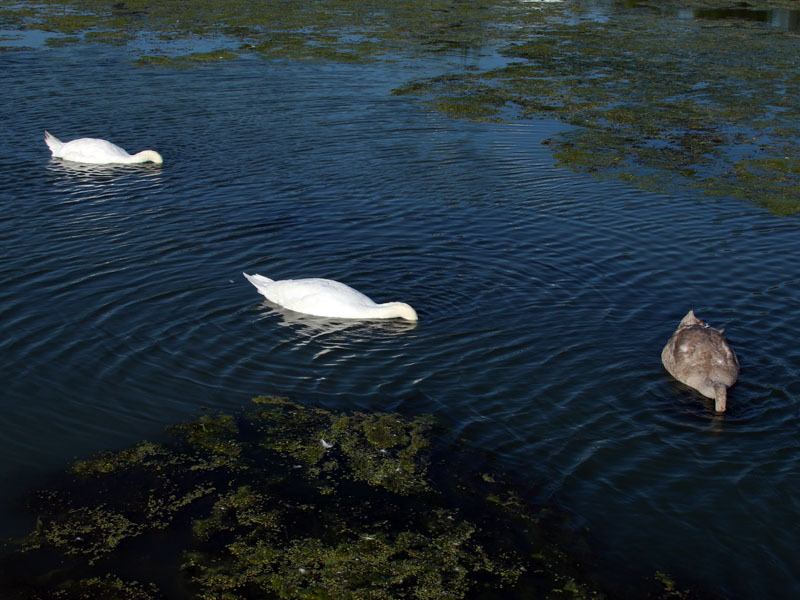 The adults swans are permitting the young cygnet more and more independence. The day they will go their separate ways is drawing near. AWESOME shots, Chris! Love your blog here — and of course, all of your observations on iNat! Thanks, Sam! I will be posting a few shots from down your way soon!